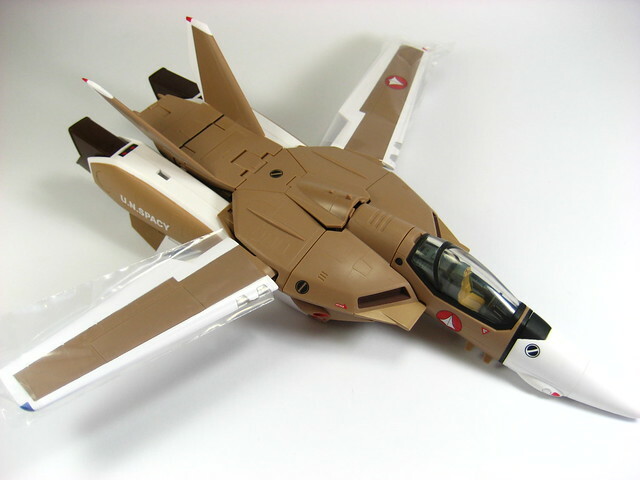 I'm starting August on a good note with this, a 1/60 VF-1A Valkyrie Mass Production version by Yamato Toys. 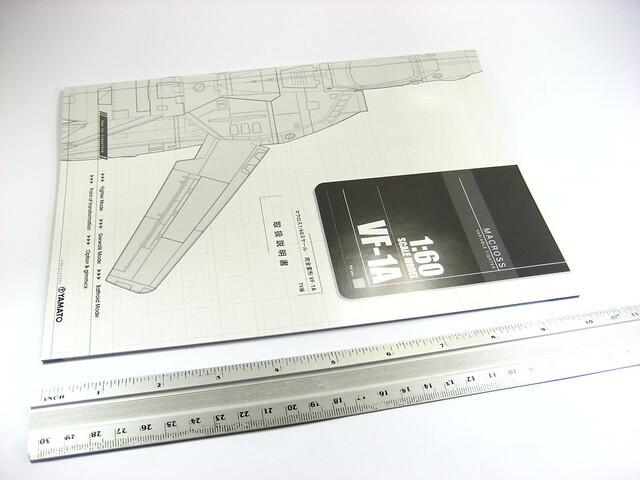 Got this from from HobbyLink Japan. 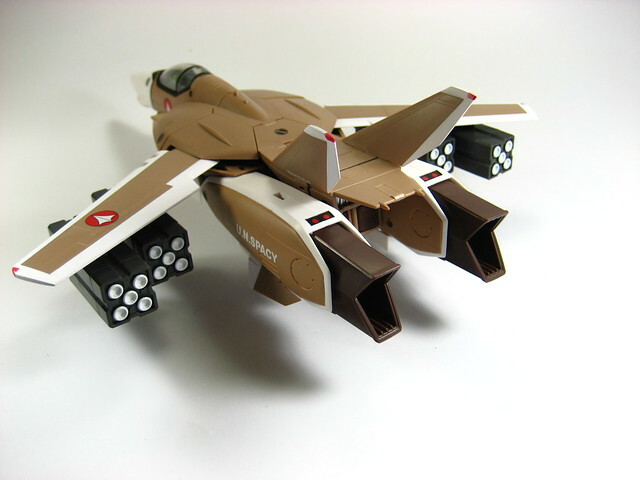 This is the workhorse Variable Fighter of the UN Spacy that was produced in massive numbers as seen in the SDF Macross Anime that came out in the 80's. 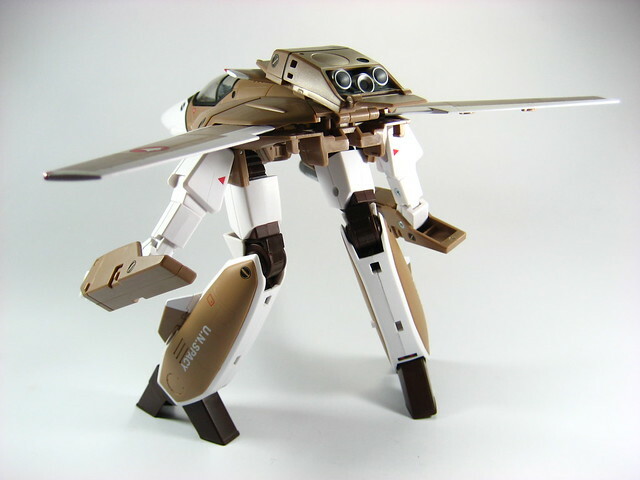 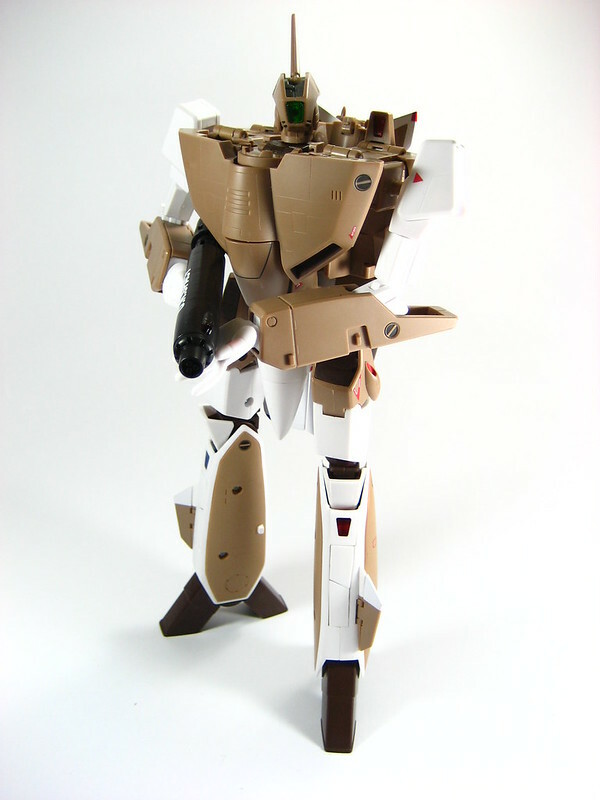 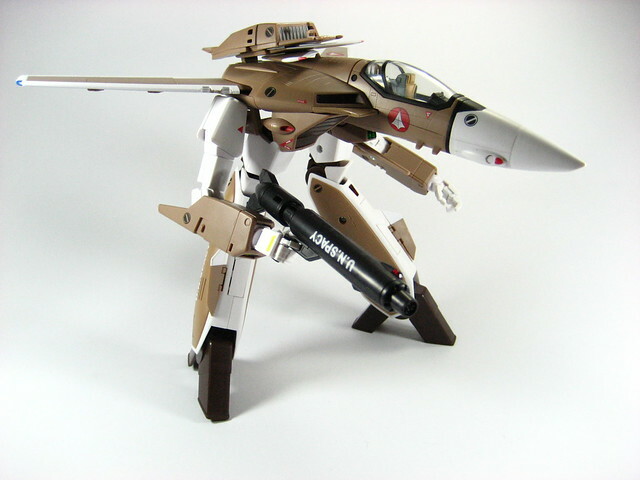 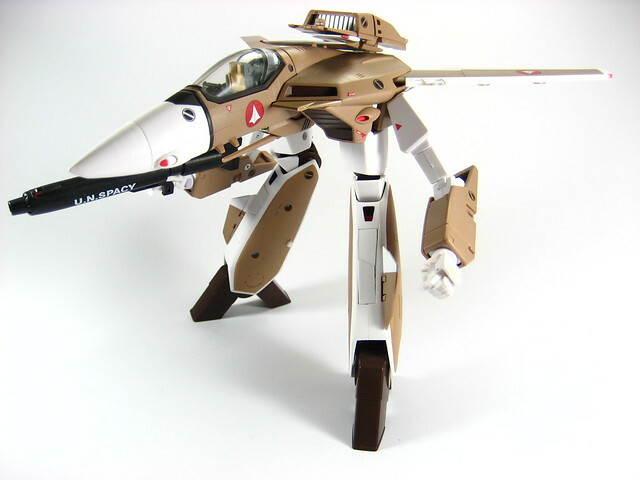 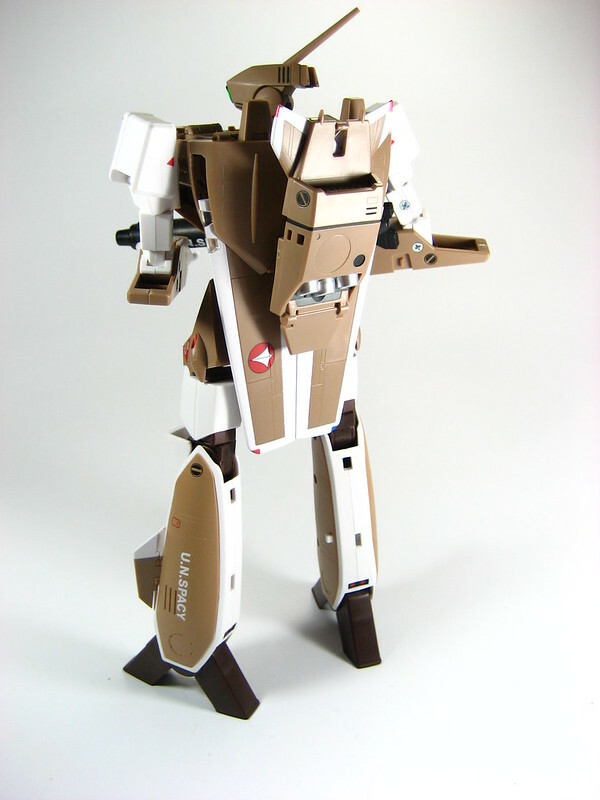 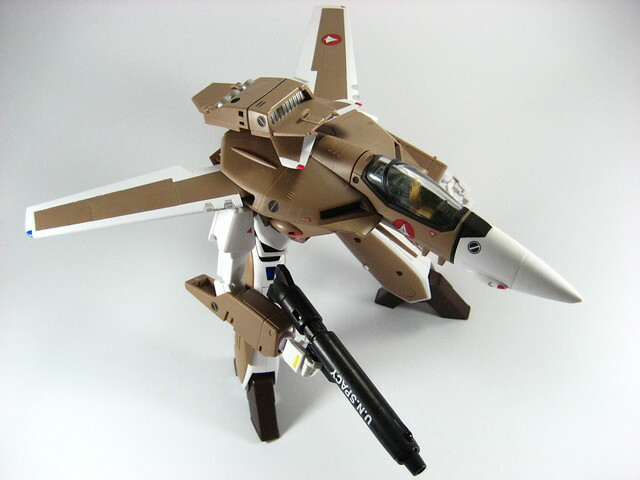 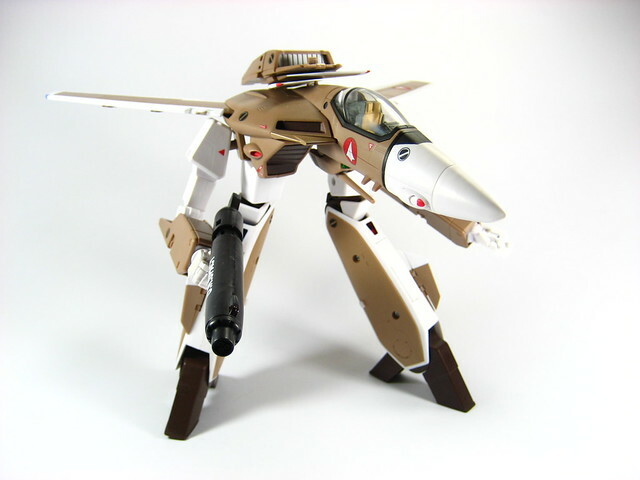 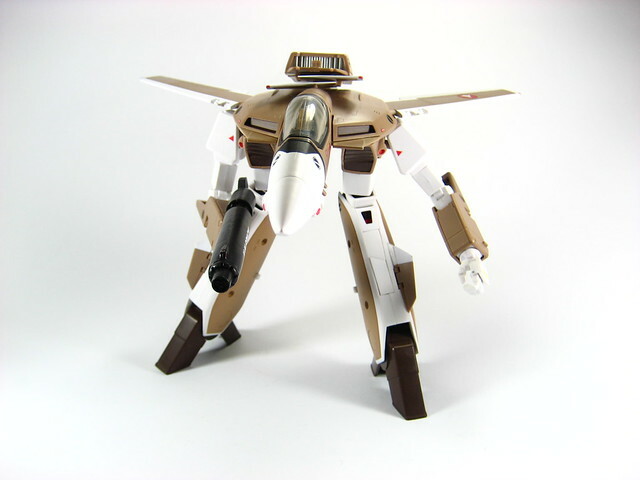 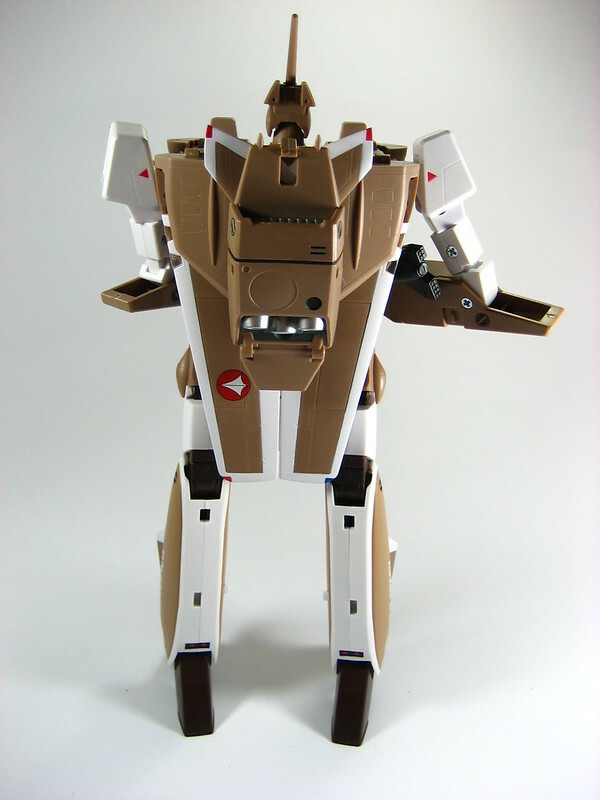 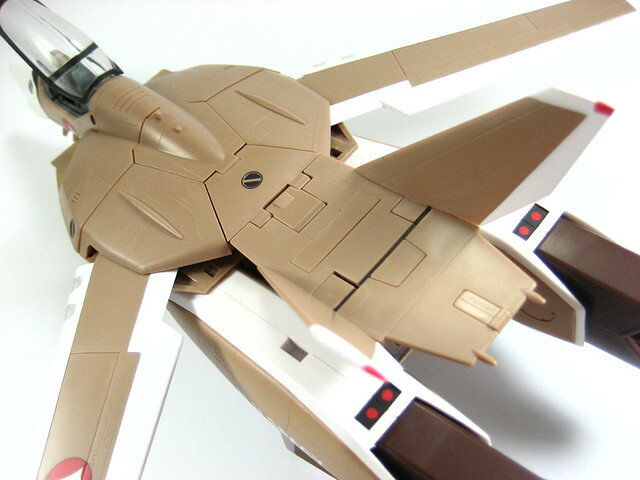 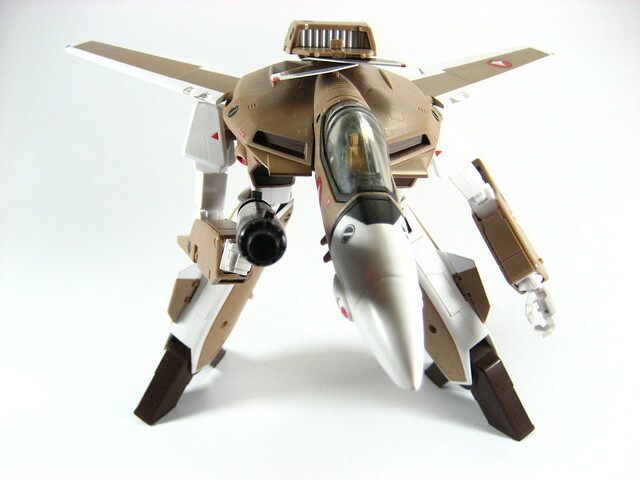 The VF-1A Valkyrie can transform to 3 states, Fighter, Gerwalk and Battroid mode. 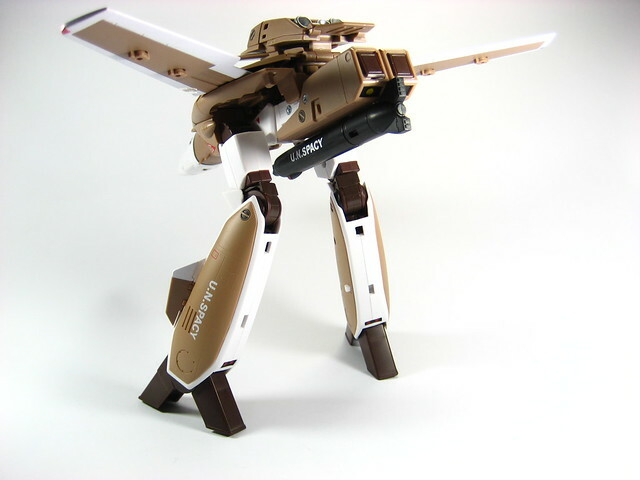 This is what makes it unique and allowed it to set its mark in the mecha anime genre. 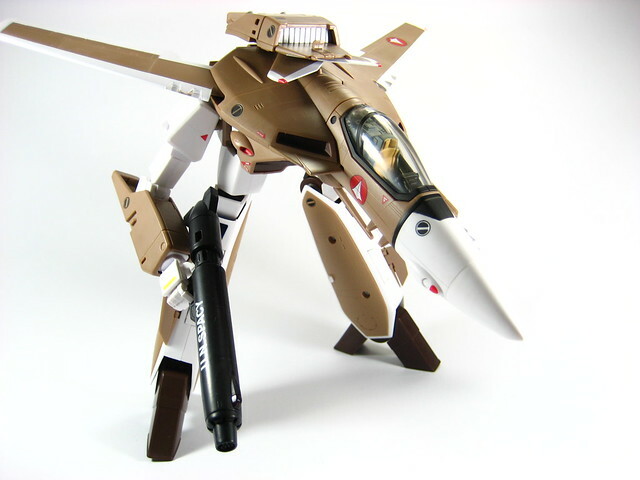 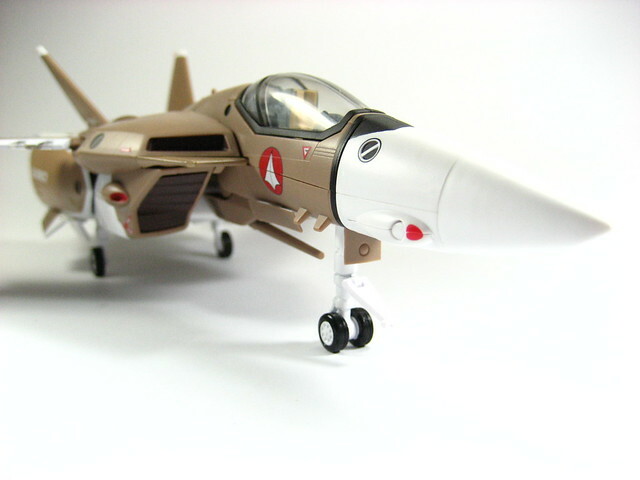 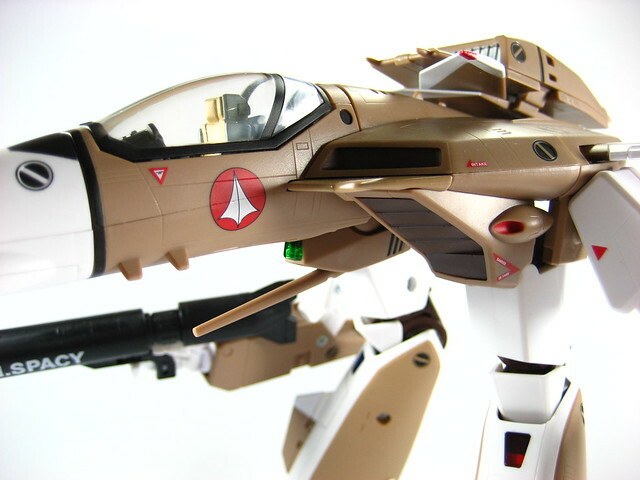 This VF-1A Valkyrie was designed by Macross Co-Creator, Shoji Kawamori and was based on the Grumman F-14 Tomcat. 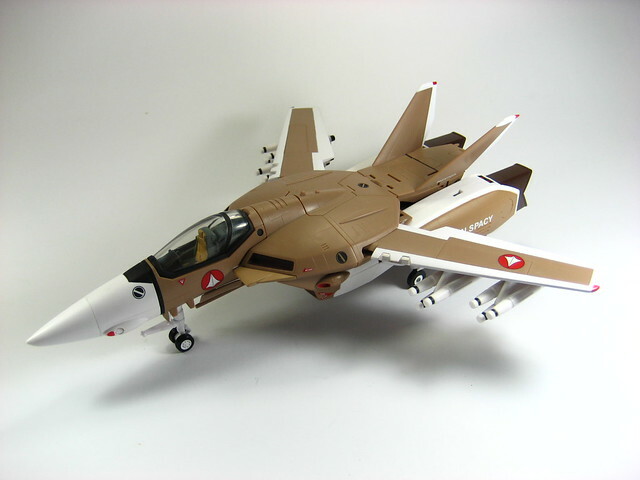 It however lacks the rear horizontal stabilizers that the Tomcat has. 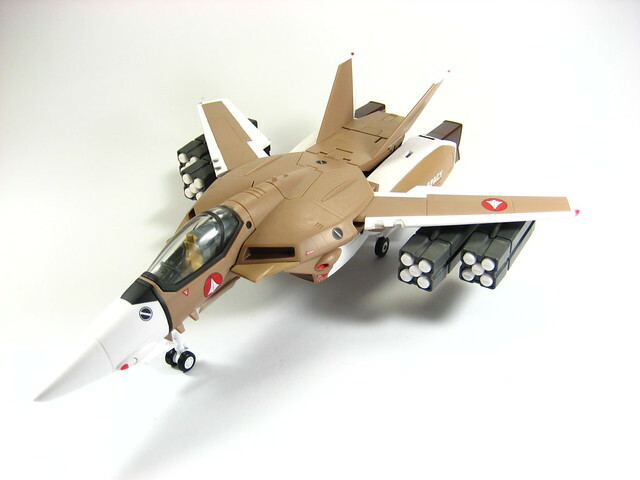 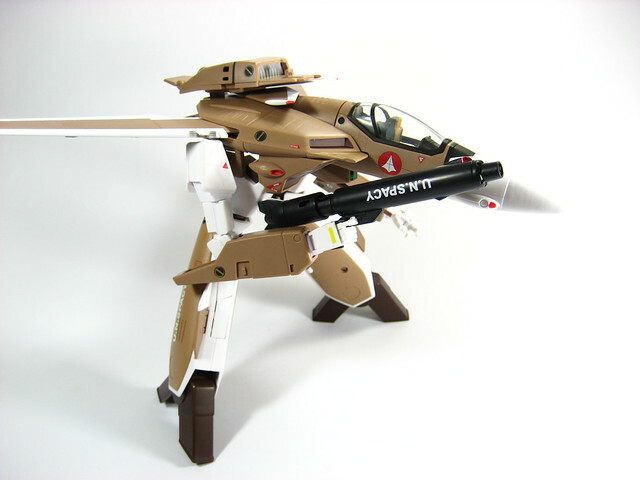 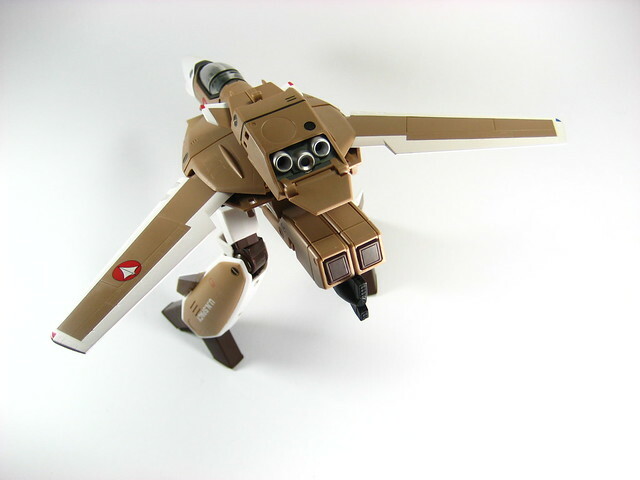 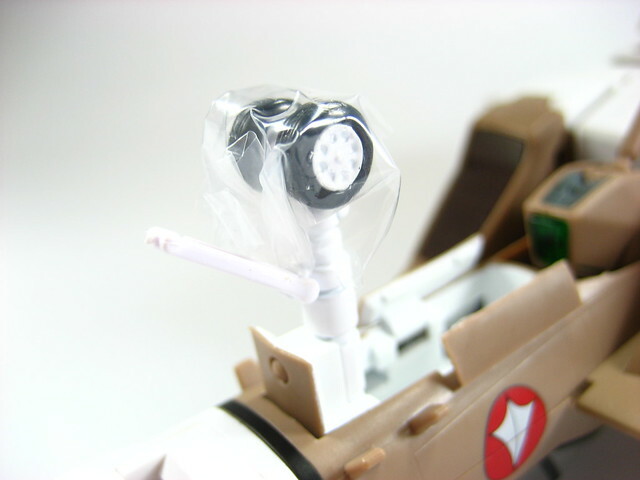 Aside from the toy, that can transform into Fighter, Gerwalk and Battroid mode, it also comes with the following accessories: 2 Yamato stand attachments; a front fuselage attachment; Gunpod; 1/60 scale pilot figure; 2 varieties of missile racks (4x each type) that can be attached to the wings; 4 spare hands; manual and marking stickers. 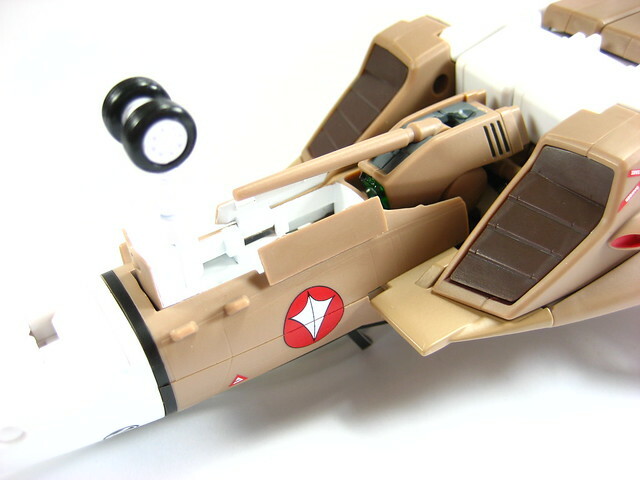 In starting with this review I'll start with the bad news. 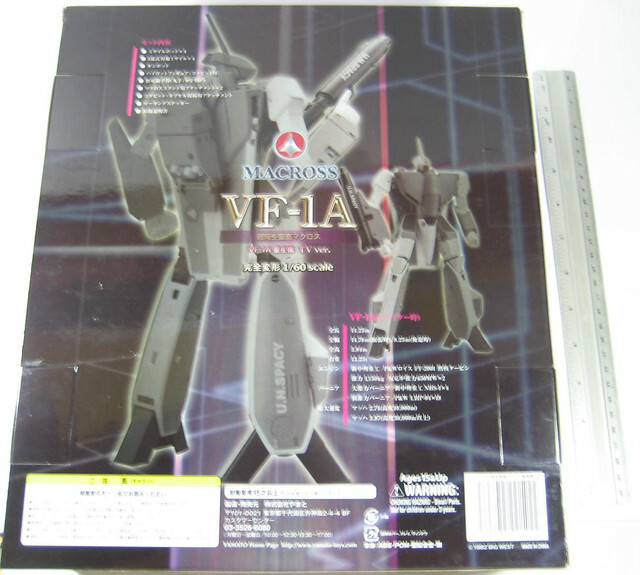 First, as I've experienced with my 1/60 VF-1S, this VF-1A is not a toy, its flimsy and could easily break if you transform it often or in a rough manner. 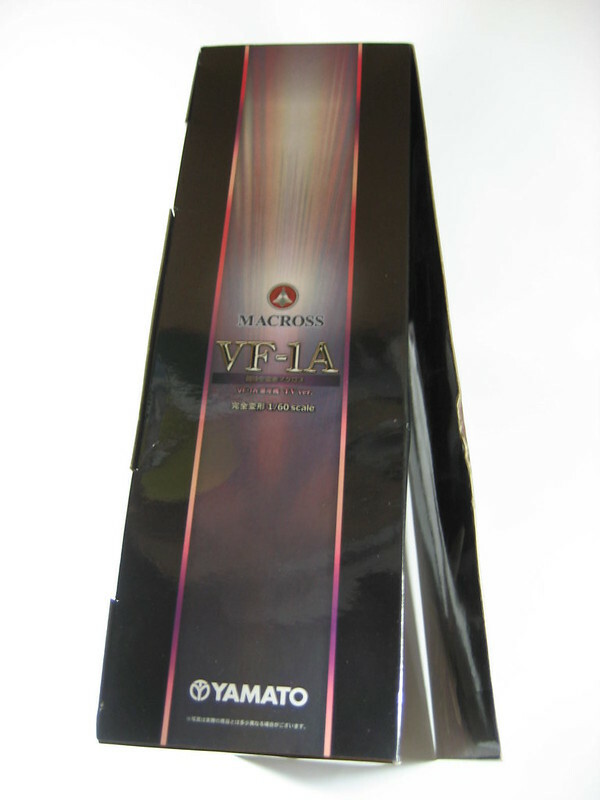 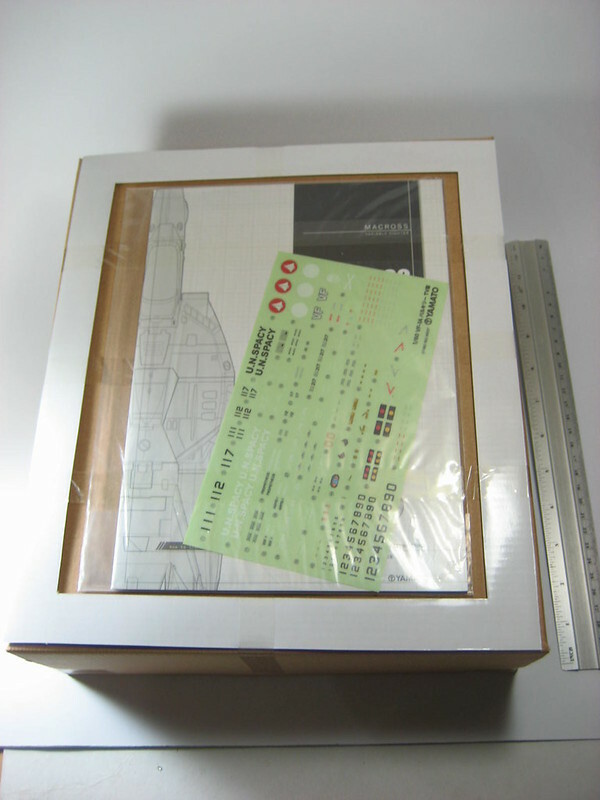 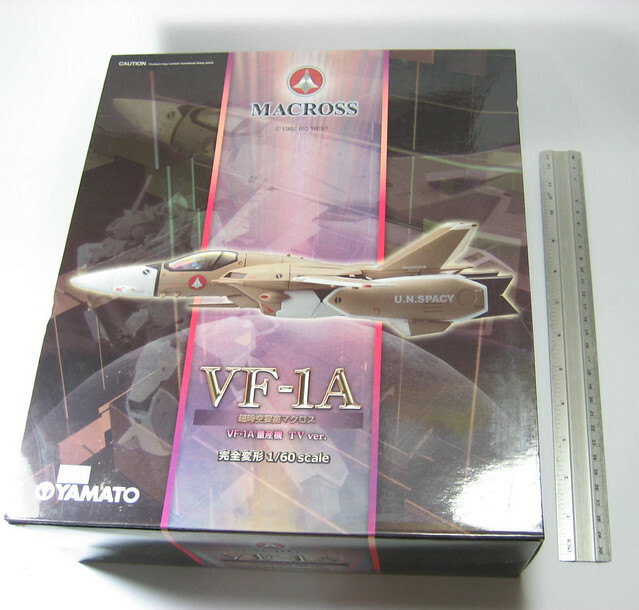 Its a display toy to be exact, Yamato Toys sacrificed sturdiness in order to stay true to the design of the VF-1 Valkyrie. 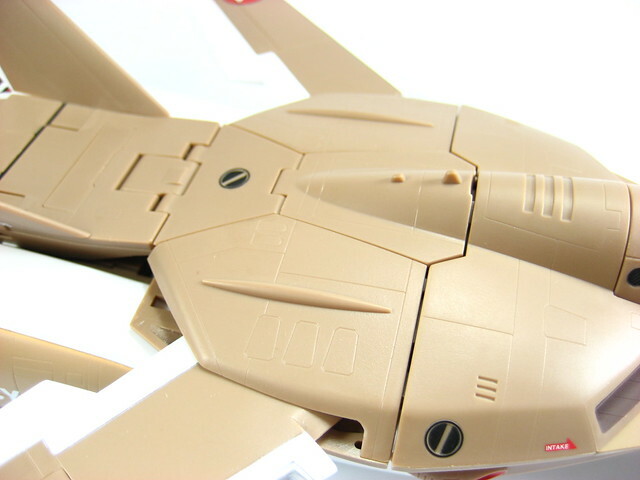 If you want something that you can "play" with and transform often, this toy is not for you. 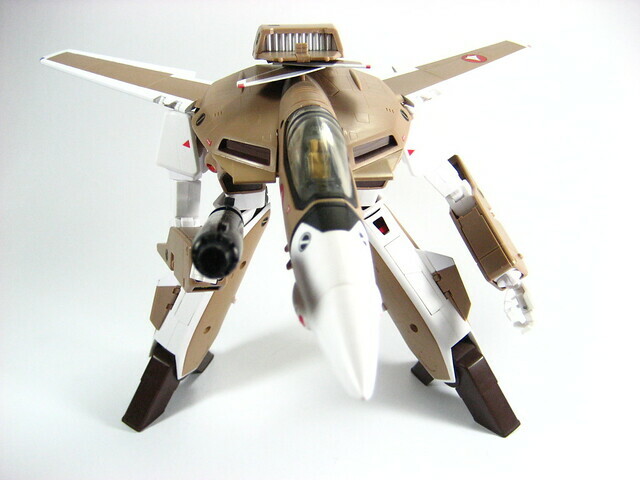 This is something that should sit on a display case and be savored by one's eyes like a fine wine. 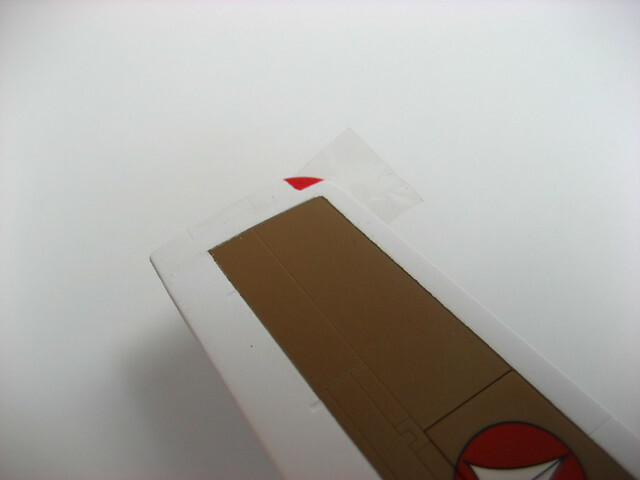 Another thing is that the paint can be easily removed on this if you scratch or rub it with force. 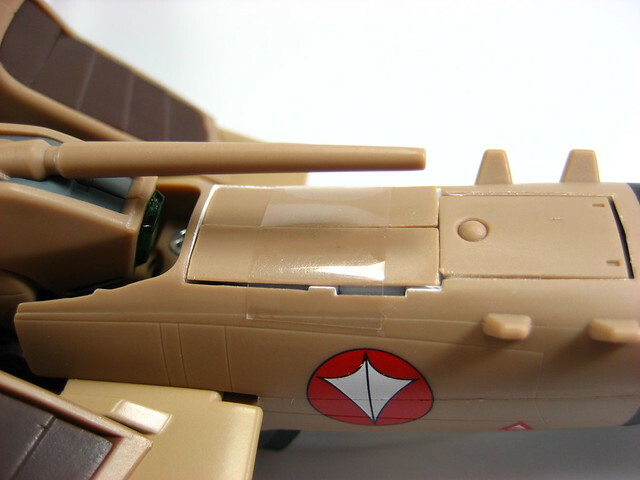 An easy way to fix this is to apply some clear or matte top coat on this to protect the finish, I'd recommend masking the canopy first before doing this. 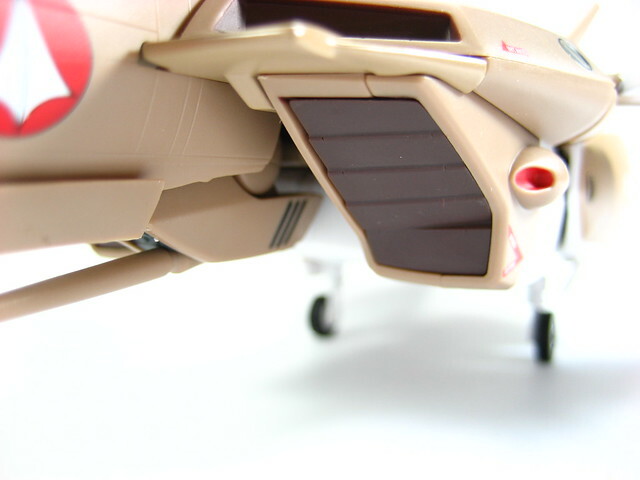 The only quality problem I've found with this particular kit is the presence of this yellowish paint smudge on one of the legs along with a slight smudge on the red markings. 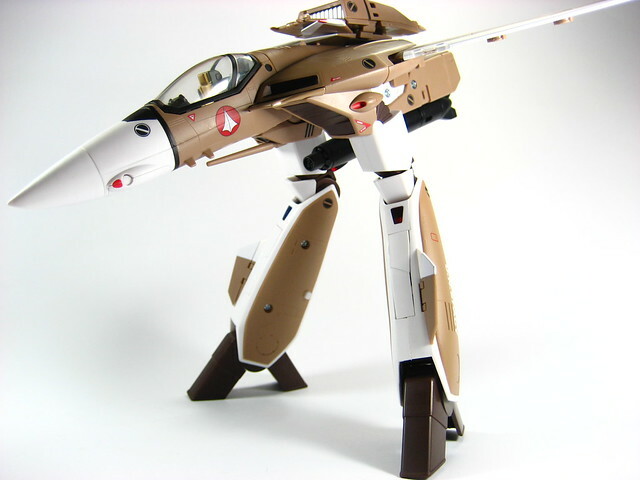 Negatives aside, I still love how Yamato Toys was able to bring the VF-1A to life in 1/60th scale. 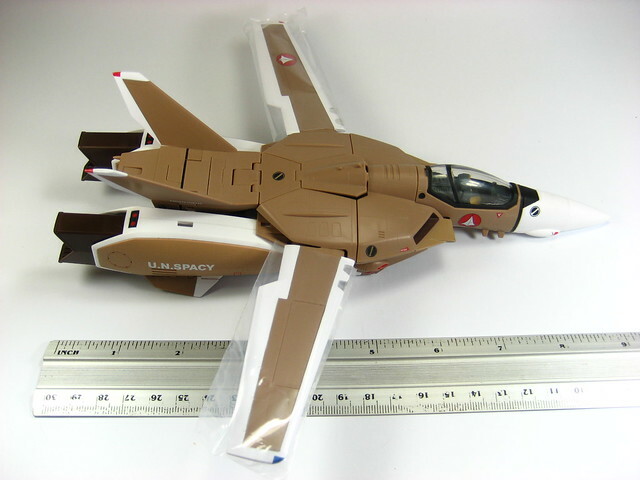 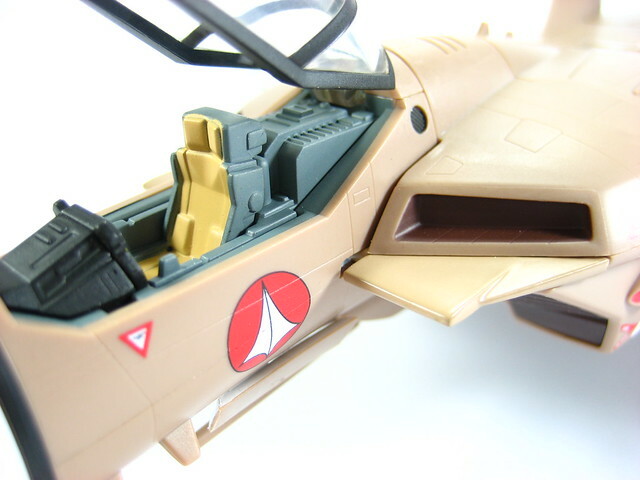 Craftsmanship of Yamato Toys is really superb with the attention to detail given in the shape, lines and markings of this toy in order to recreate the original design. 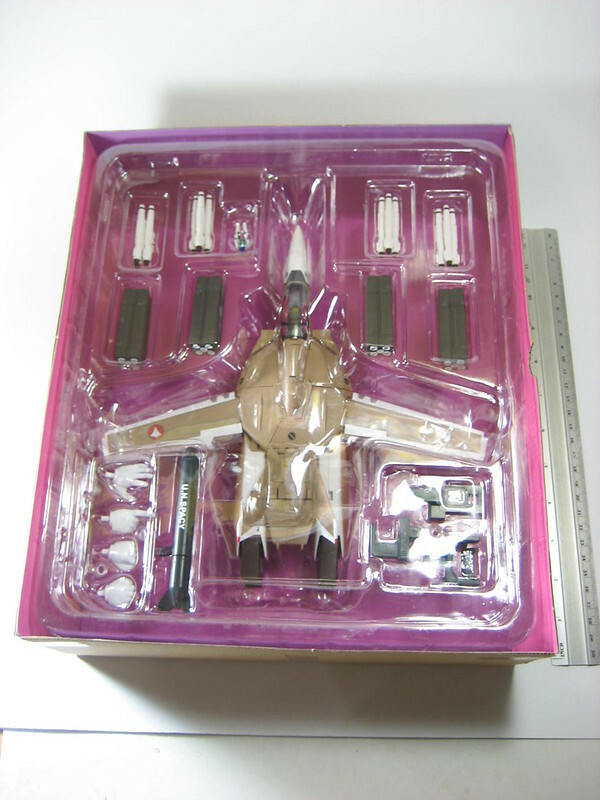 As long as you don't treat it roughly or play with it, then I'm assuming that you really won't have any problems with this toy. 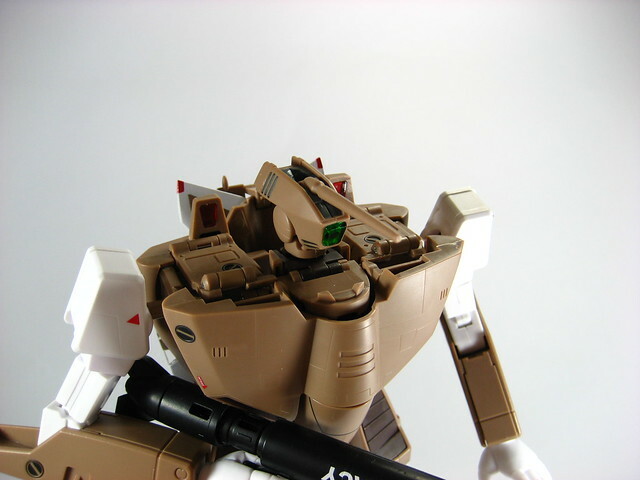 I love this "Prometheus" marking that was placed on the VF-1A that designates from which launch platform it operates at. 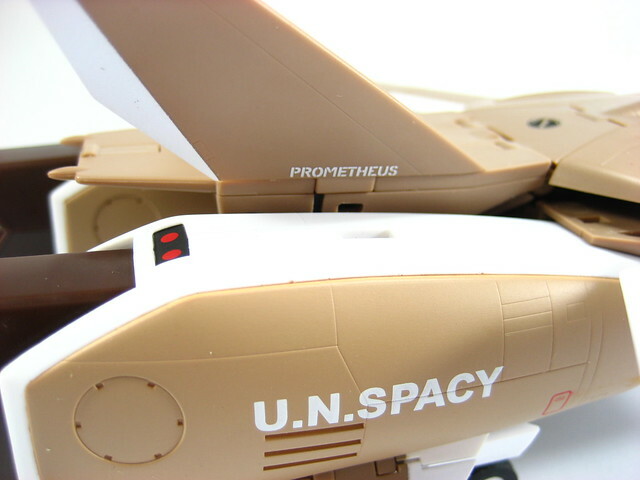 Prometheus is a character from Greek Mythology. 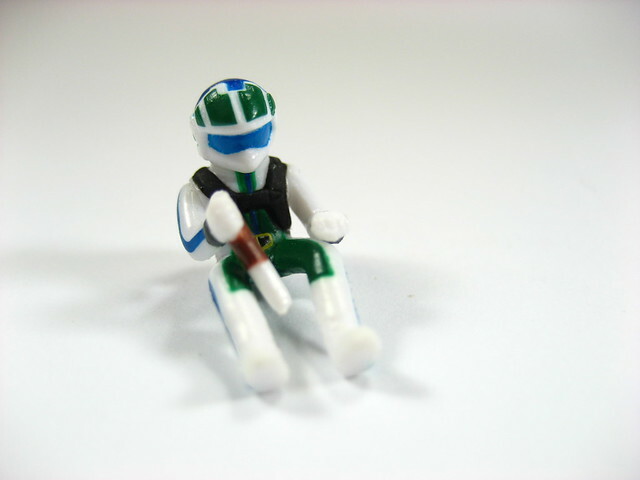 He was responsible for stealing fire from the Greek gods and giving it to the mortals. 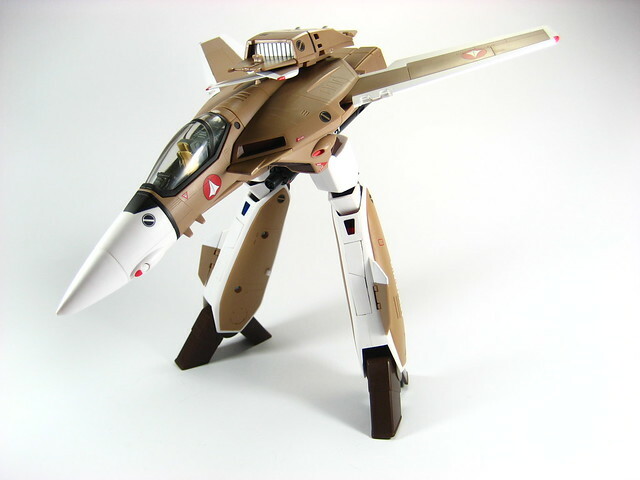 Similar to how the overtechnology of the Protoculture race was given to the humans when the Macross ship crash landed on the planet earth. 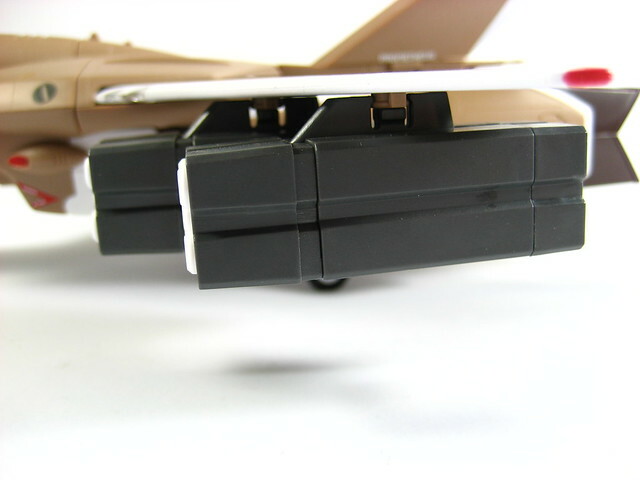 Missile racks attached to the underside of the Fighter wing. 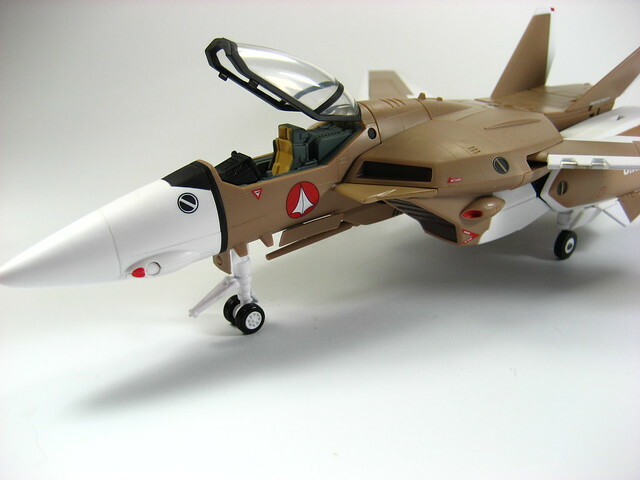 With the F-14 Tomcat, missiles weren't attached to the wing, but rather to the wing roots. 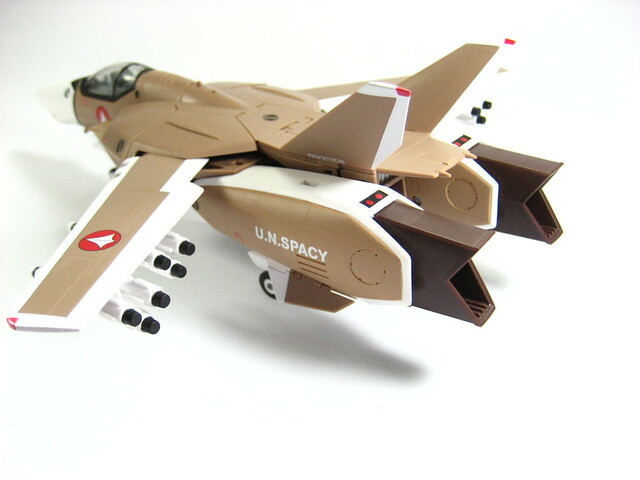 Doing otherwise would compromise the capability of the Tomcat to "swing" its wings and alter its angle of attack. 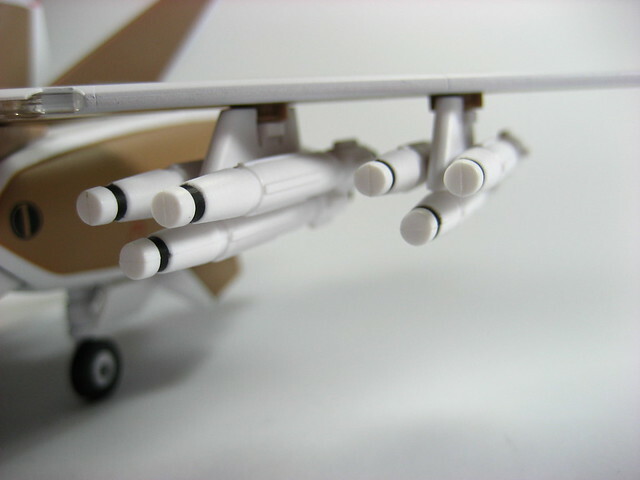 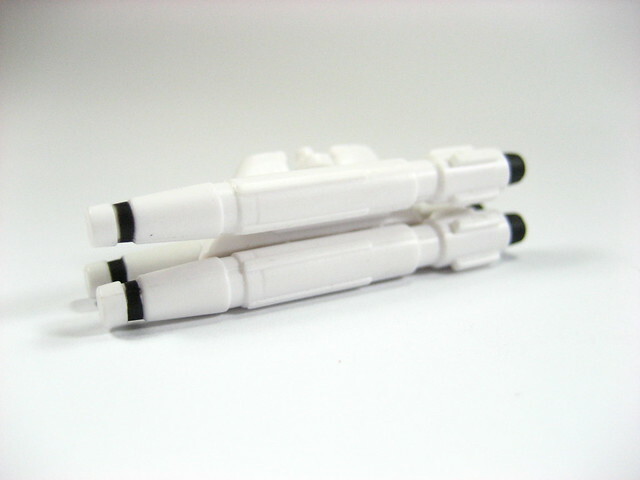 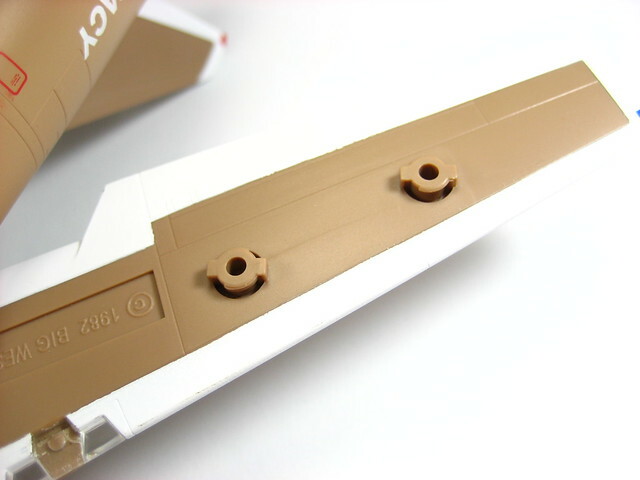 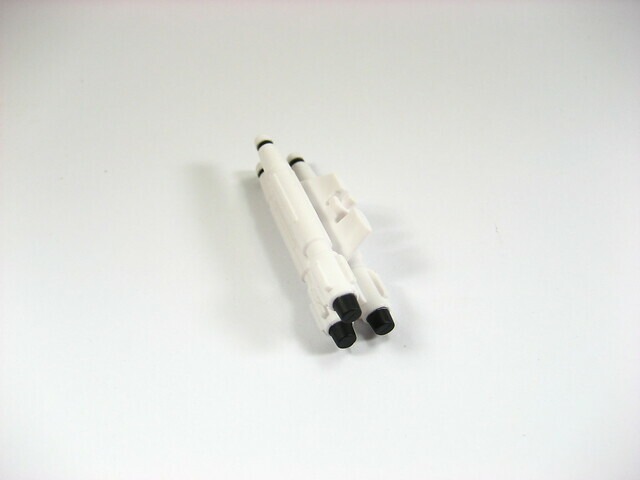 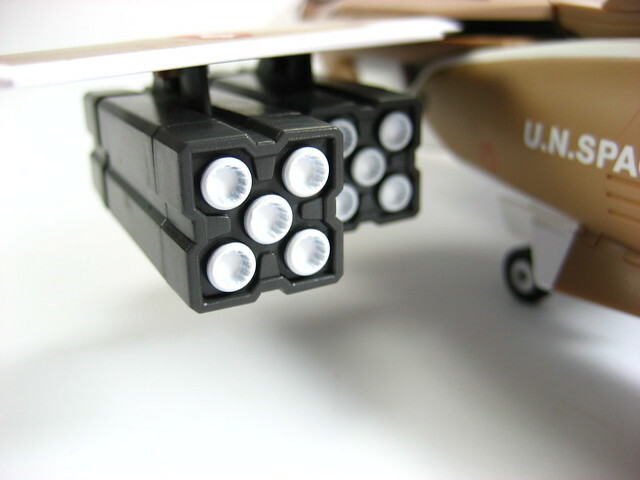 2nd type of missile racks that are included with the kit are attached this time to the wing pylons. 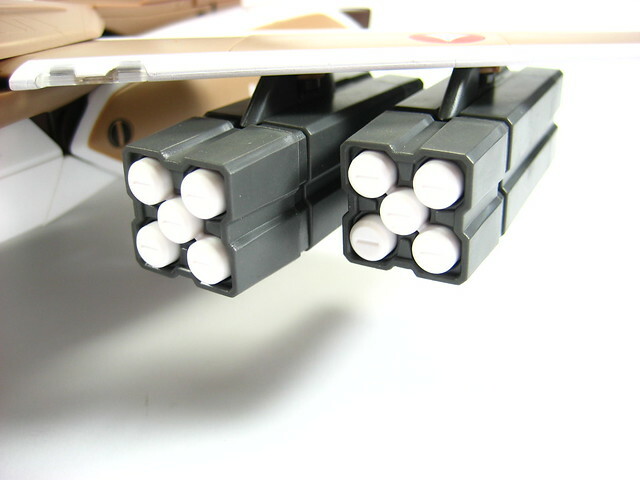 Gunpod can be attached to the underside of the fuselage inbetween both arms. 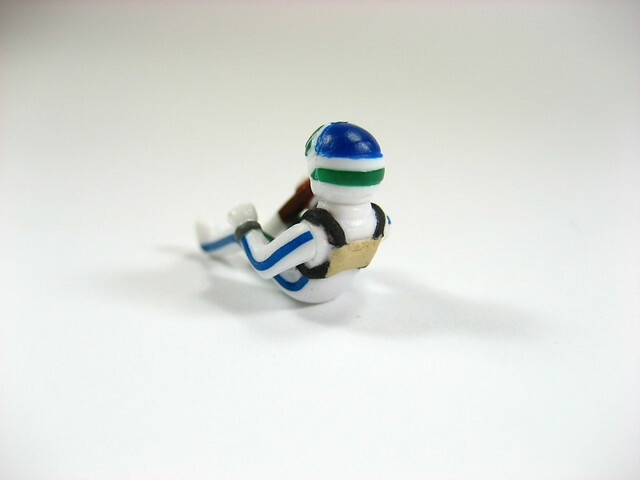 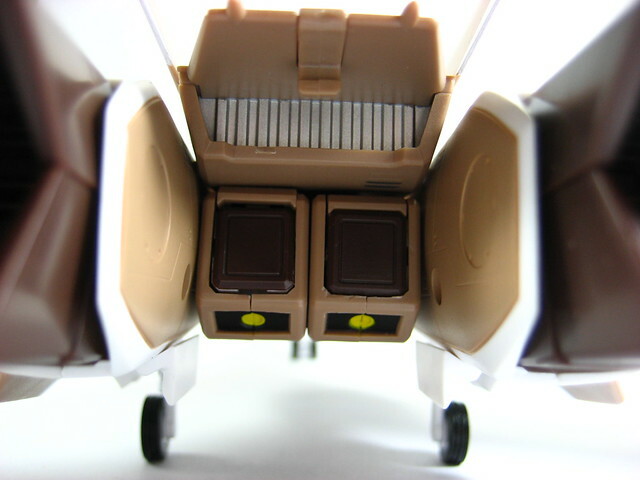 Gerwalk mode with the hands in the stored position. 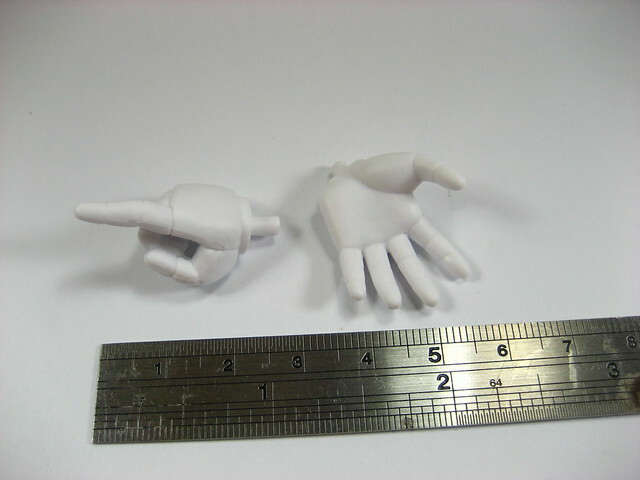 Swapped out that standard hands for one of the optional hands that Yamato Toys included with the kit. 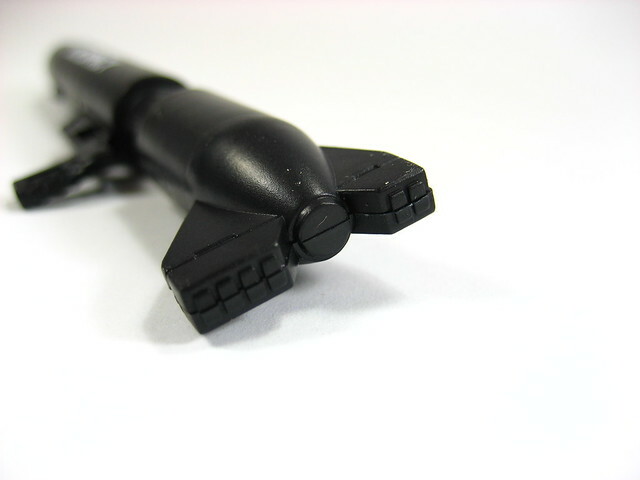 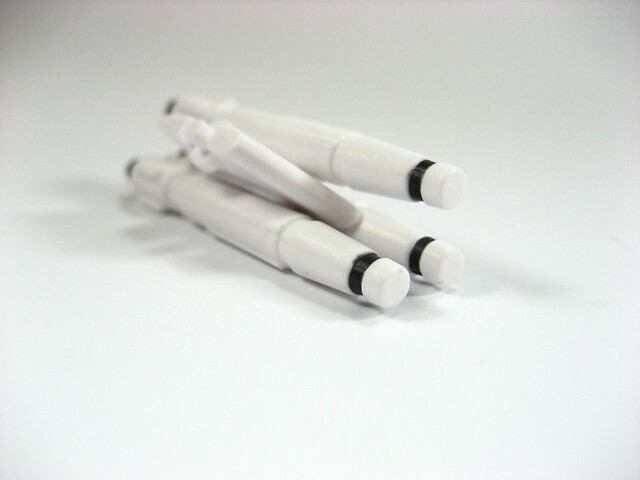 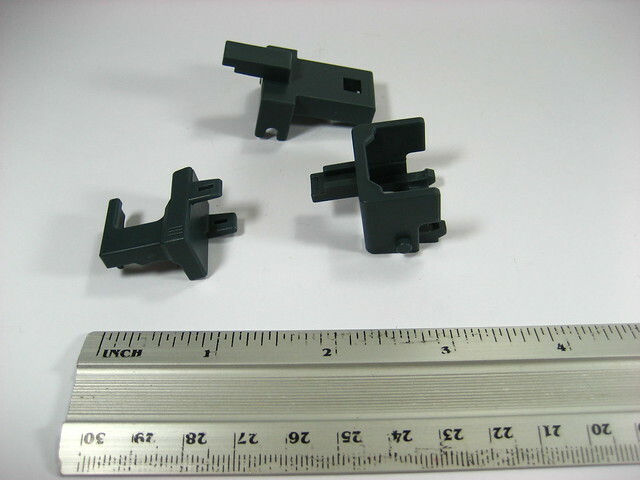 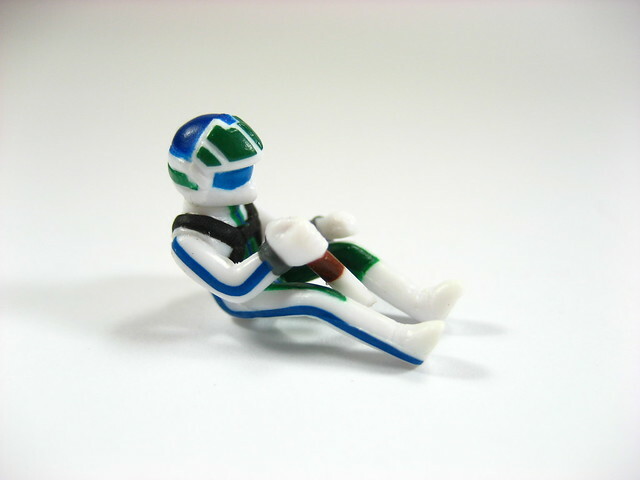 2 stand attachments that allow it to be connected to a Yamato Stand. 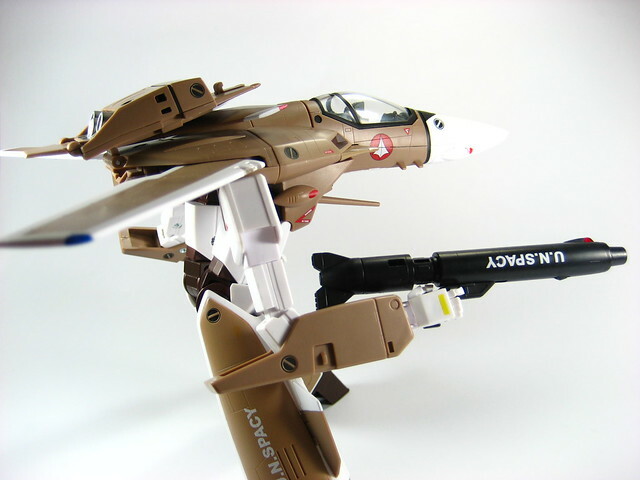 Another is an attachment for the front fuselage that can be detached from the body and stored under the arm of another VF-1 Valkyrie. 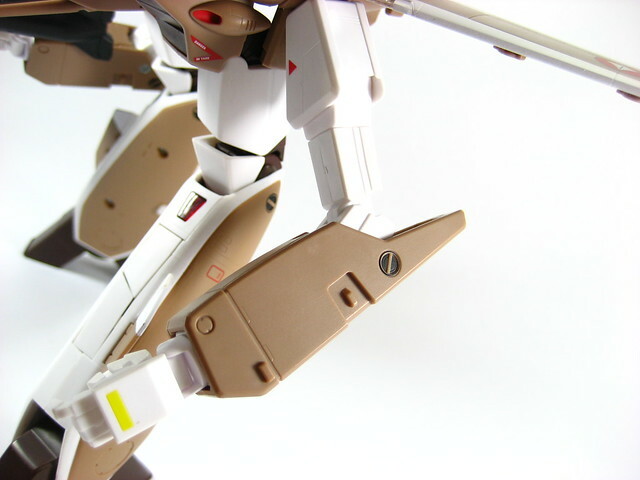 Default hands attached to the VF-1A, hands can open, close and can hold the gunpod. 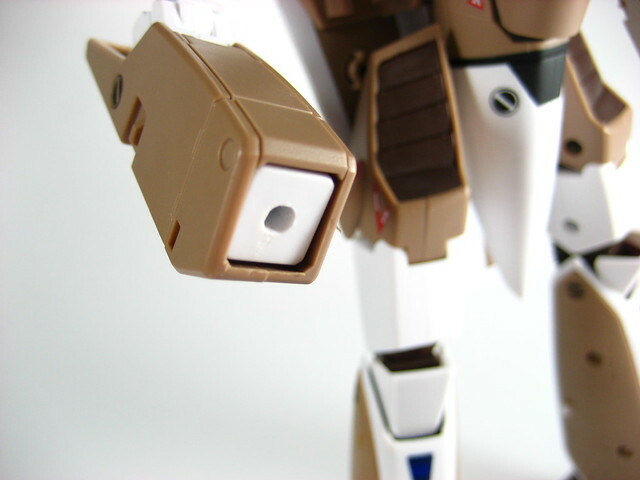 Gunpod however can easily fall off, even if you connect the notch to the nub in the hand. 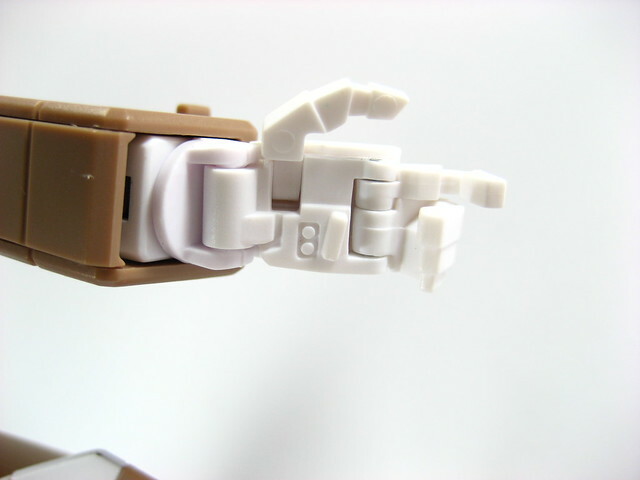 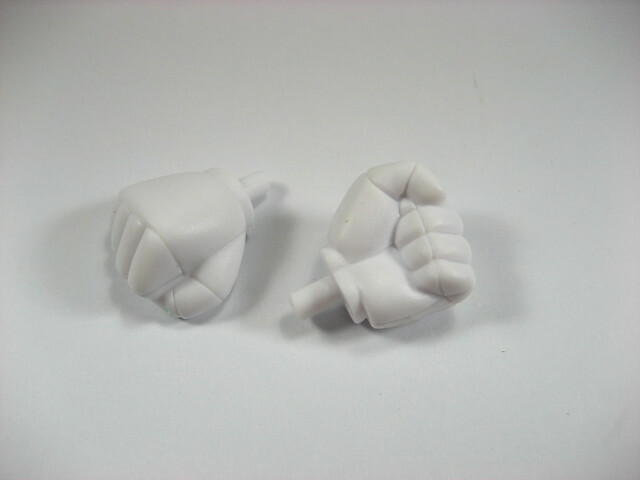 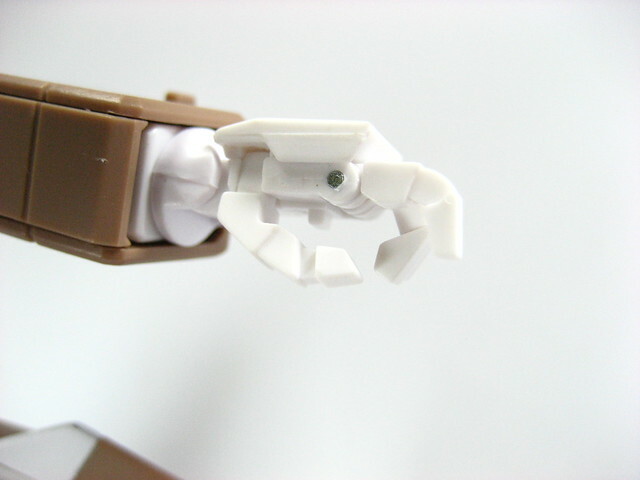 This hand type can also be stored inside the fore arm during transformation to Fighter mode. 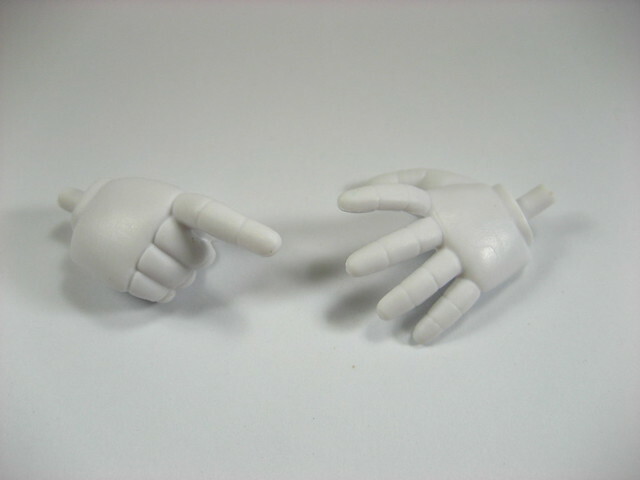 Swapping of the hands is easily done by just pulling it out. 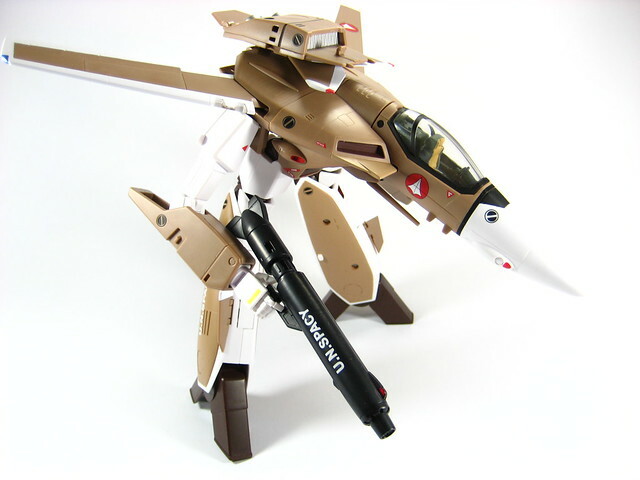 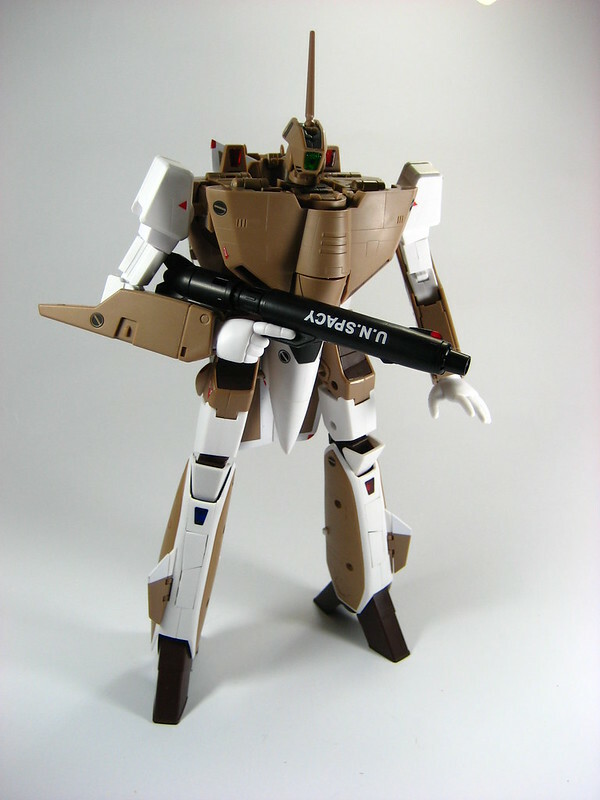 Main weapon of the VF-1A Valkyrie, the Gunpod. 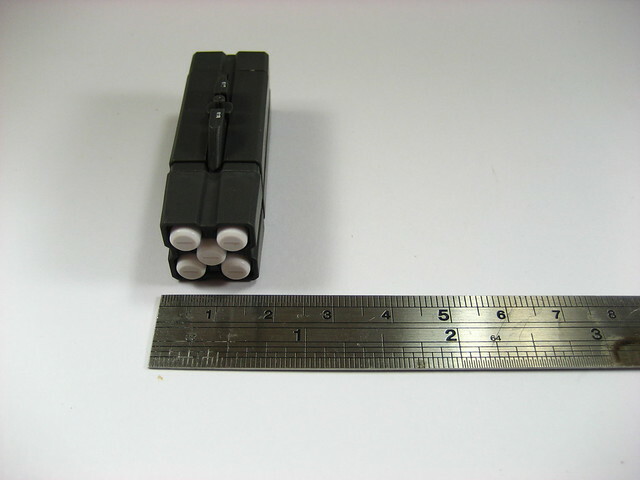 This gunpod is in storage form, wherein it is folded and the pistol grip tucked in. 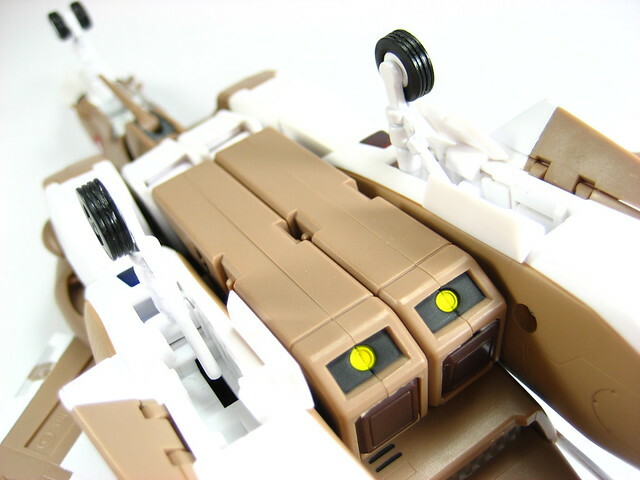 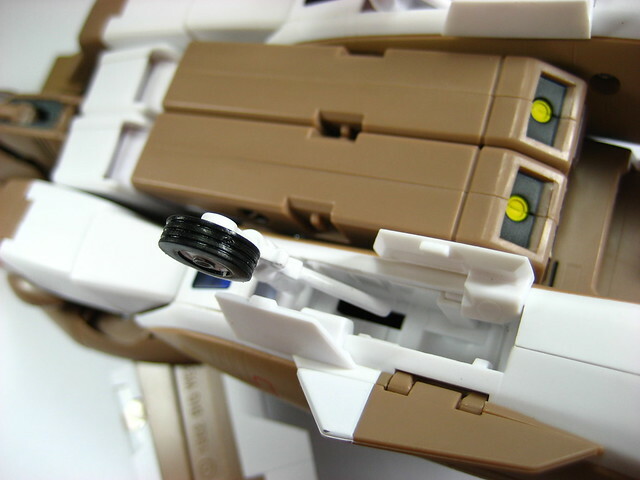 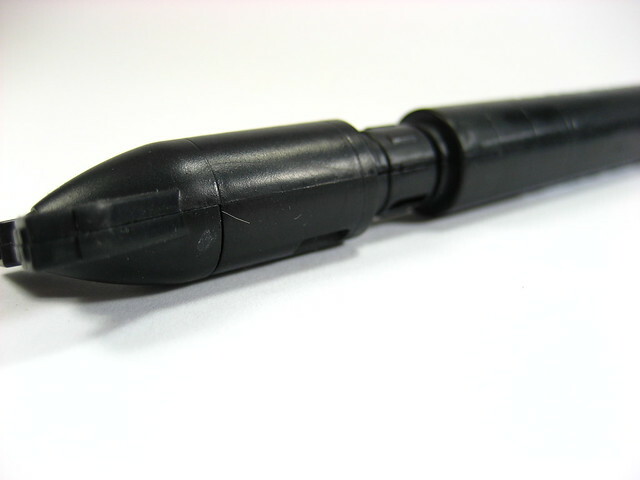 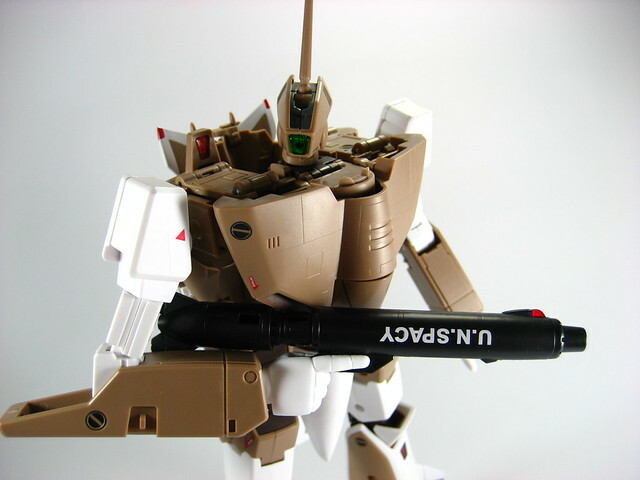 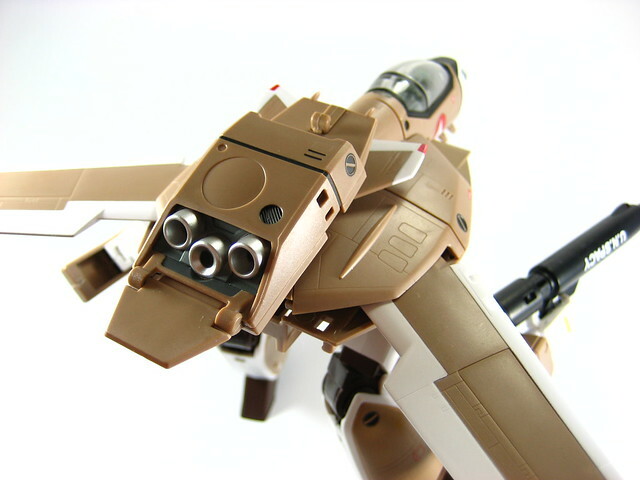 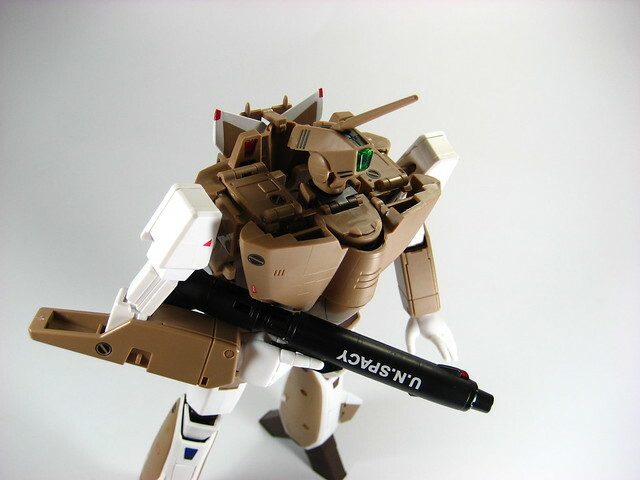 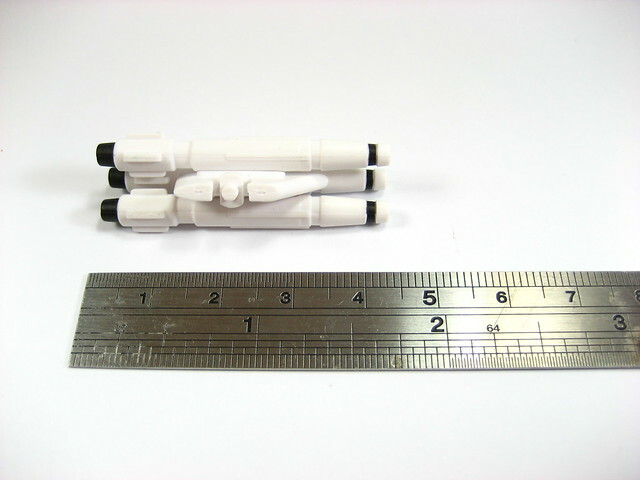 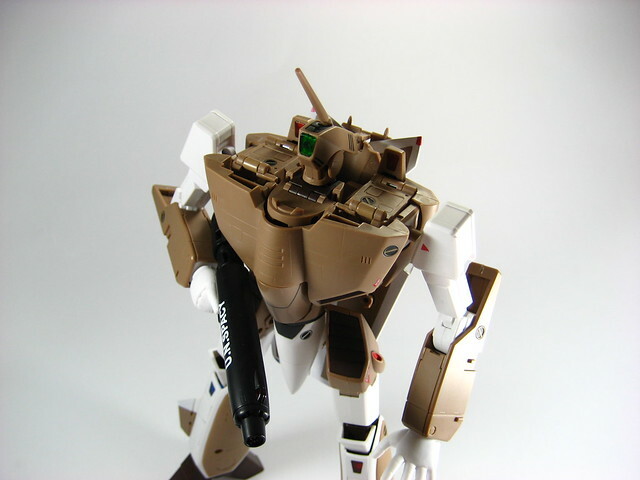 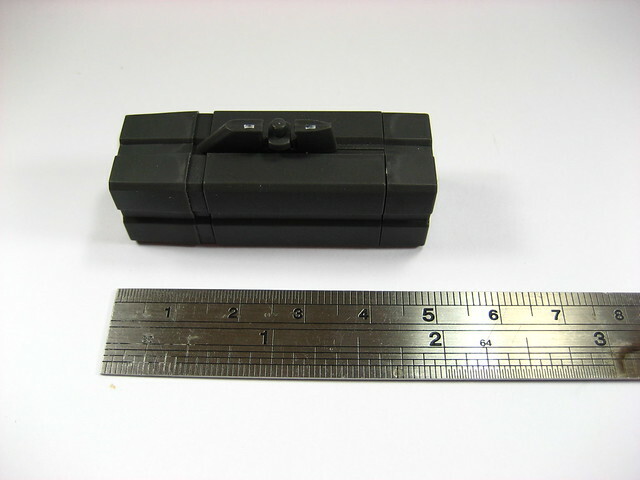 In this form you can store the gunpod in the underfuselage of the VF-1A Valkyrie by tucking it inbetween the arms and attaching the notch to the nub of the arm. 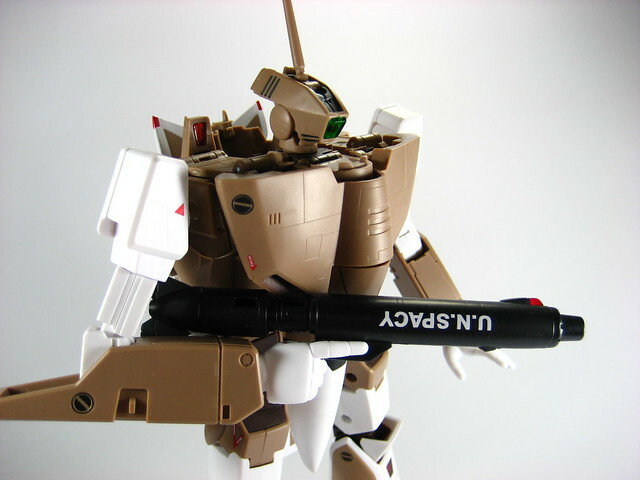 This is the Gunpod in extended form. 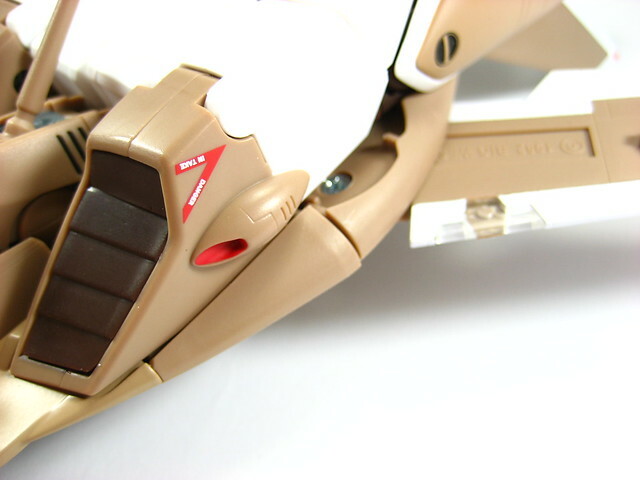 Stock is pulled out exposing the ejector port and the pistol grip is lowered allowing it to be gripped by the Battroid hand. 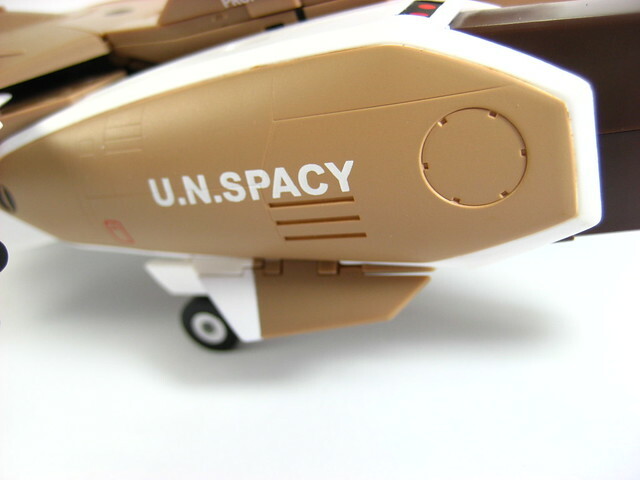 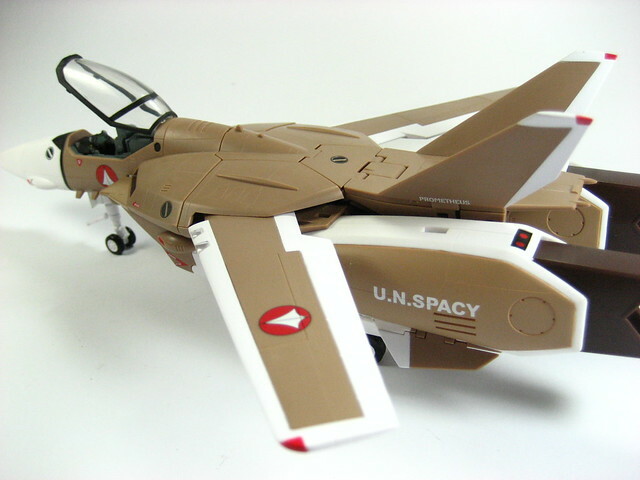 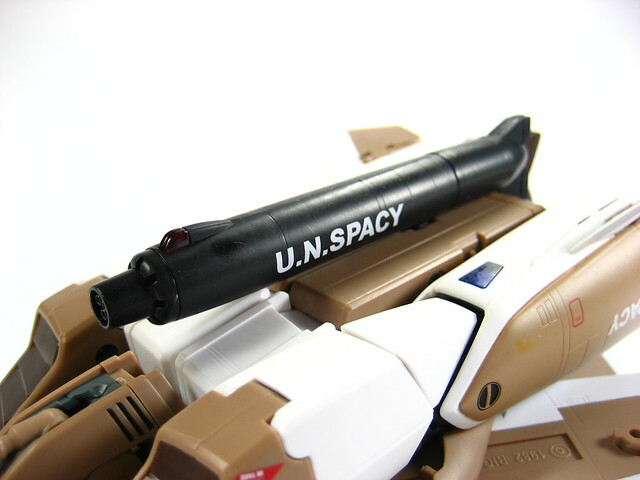 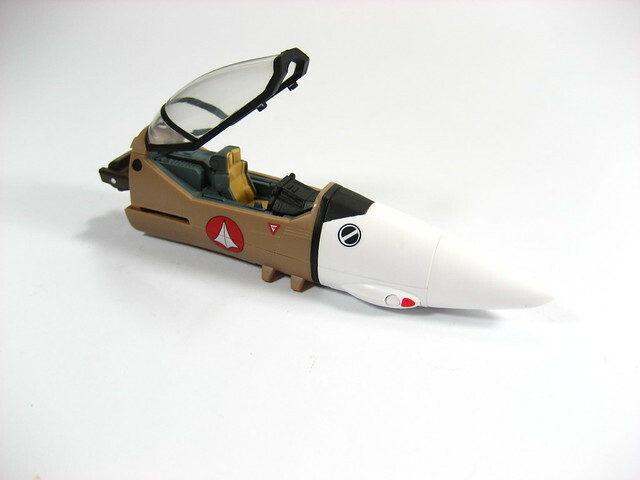 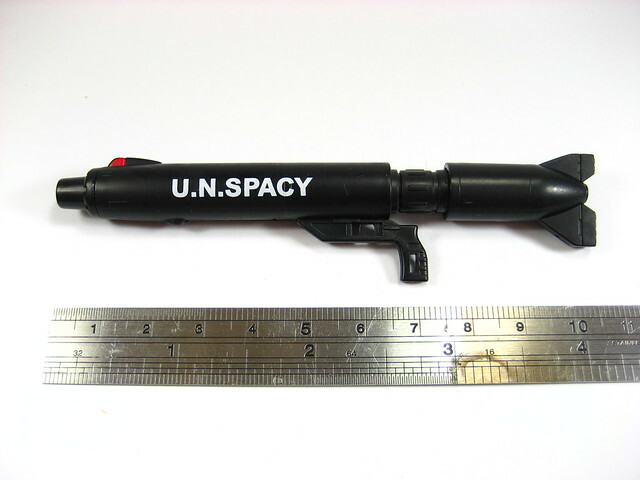 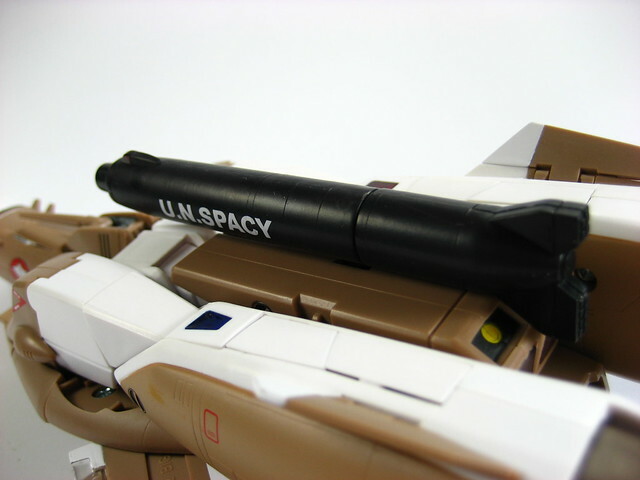 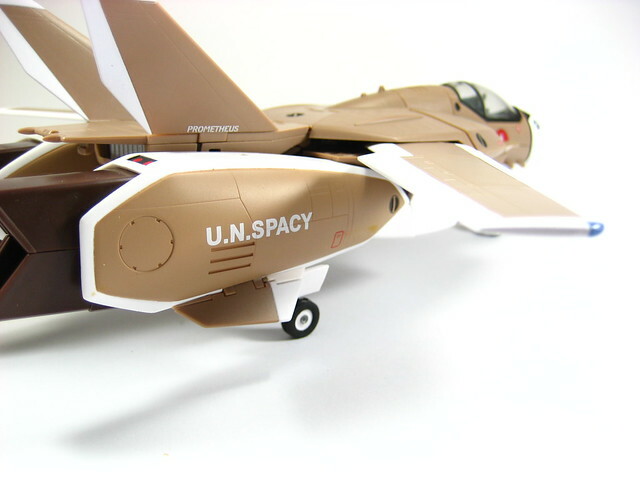 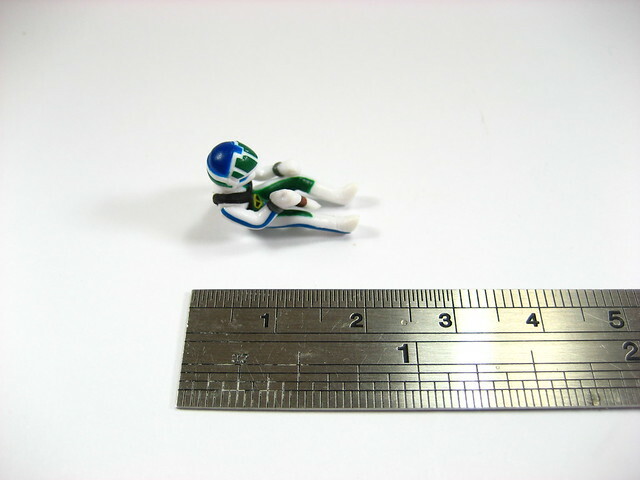 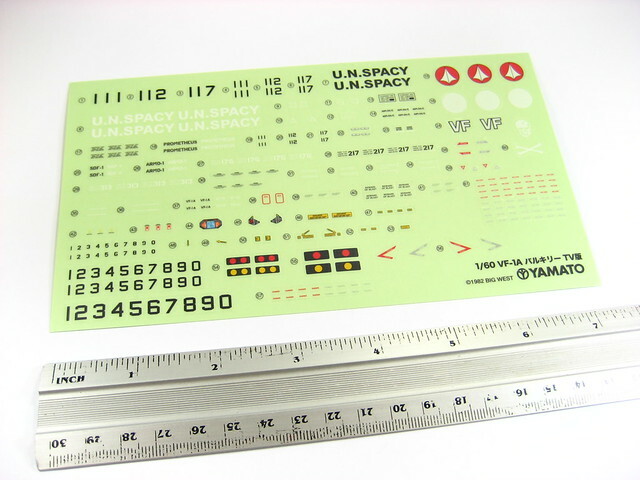 As experienced with my 1/60 VF-1S Valkyrie, the UN Spacy marking can be easily rubbed off. 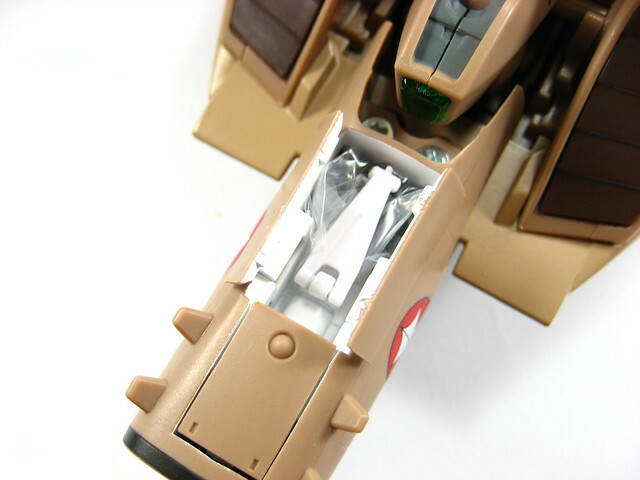 So I'd also recommend spraying a layer of clear or matte coat on the gunpod to preserve the markings. 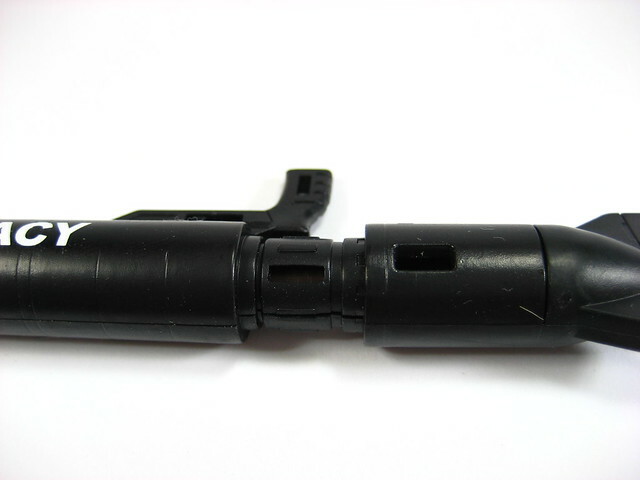 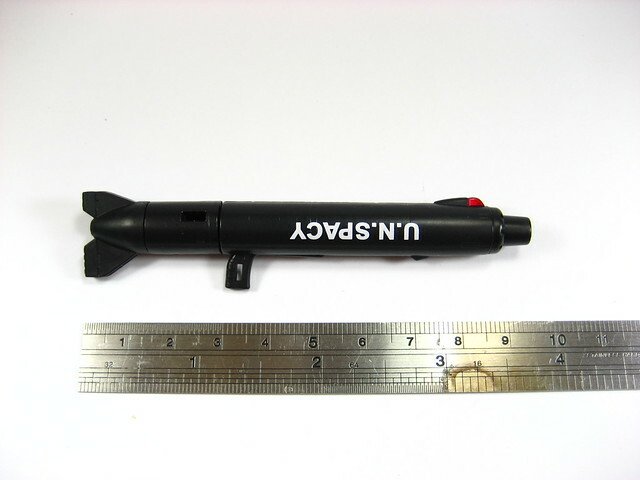 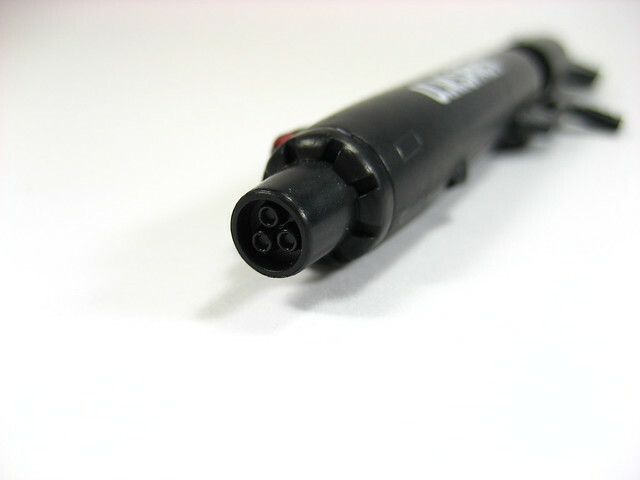 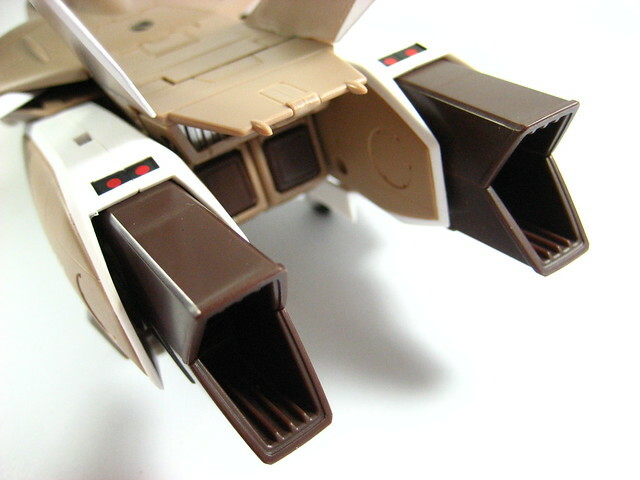 Spent casing ejector ports of the Gunpod. 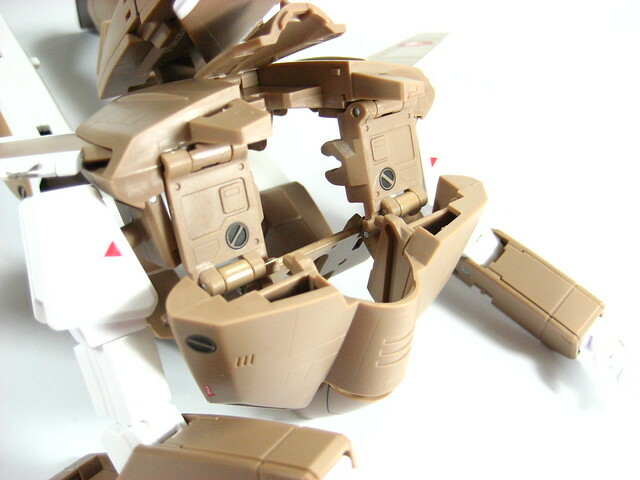 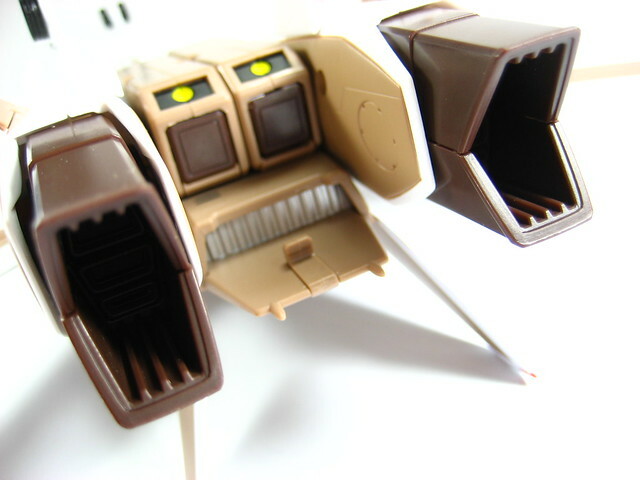 Showing the intricate mechanism designed by Yamato Toys that facilitate transformation into Battroid mode. 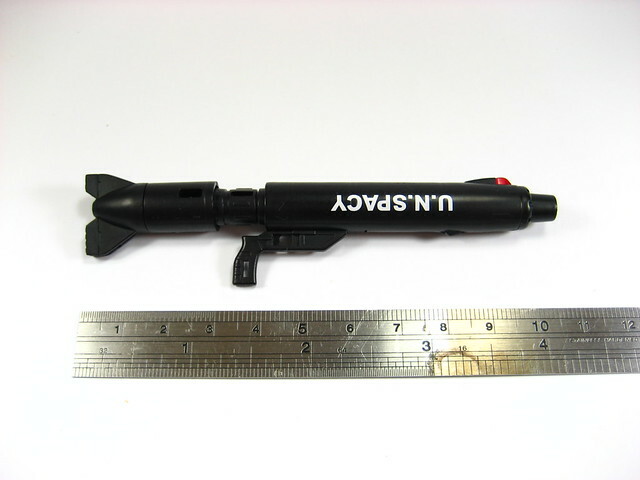 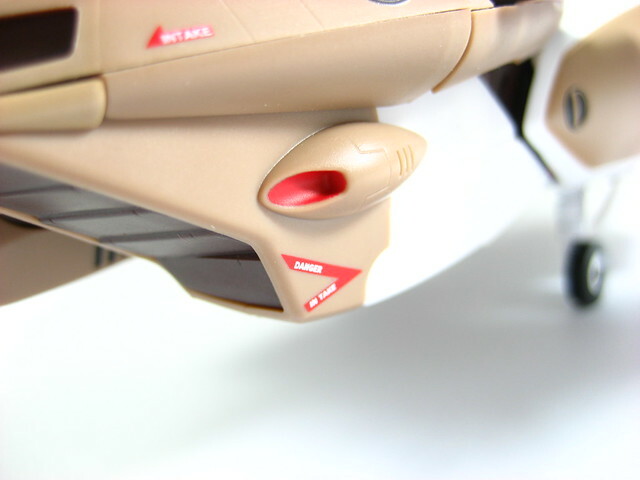 The numb at the forearm is where the gunpod can be attached and slung. 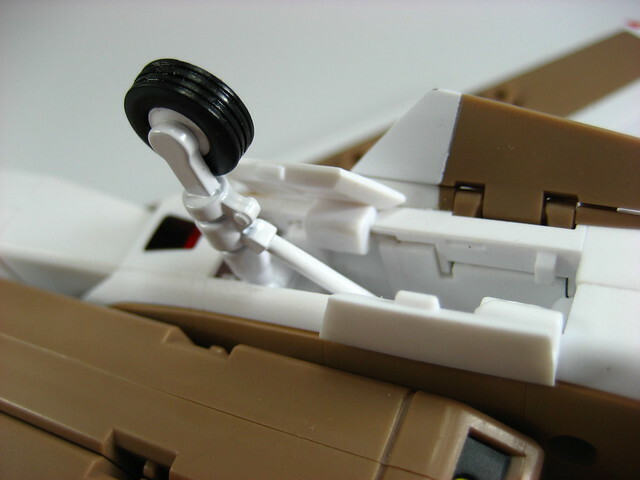 This however doesn't really work as intended as the gunpod can easily slide off. 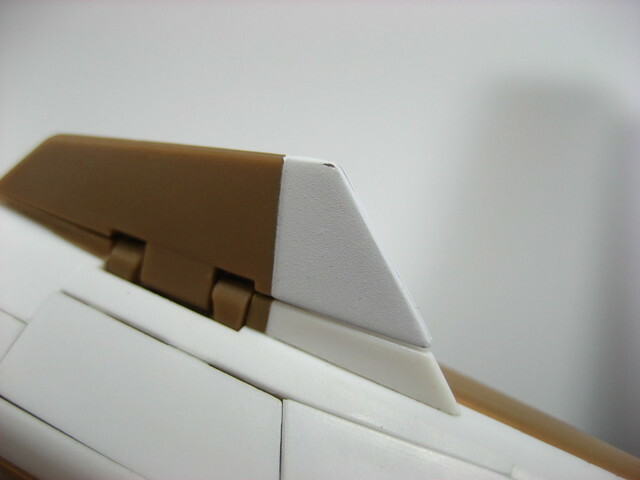 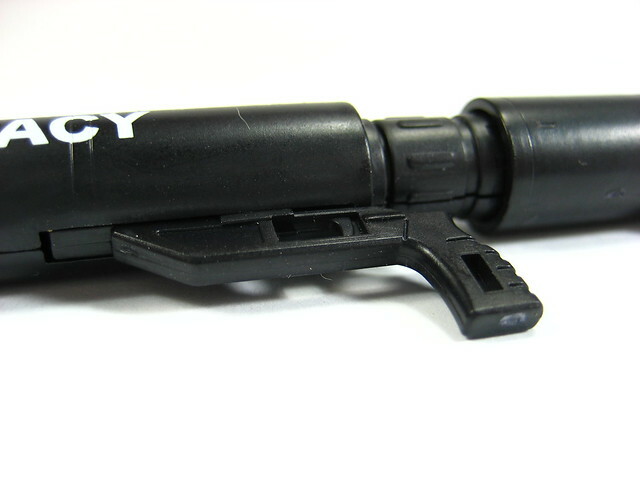 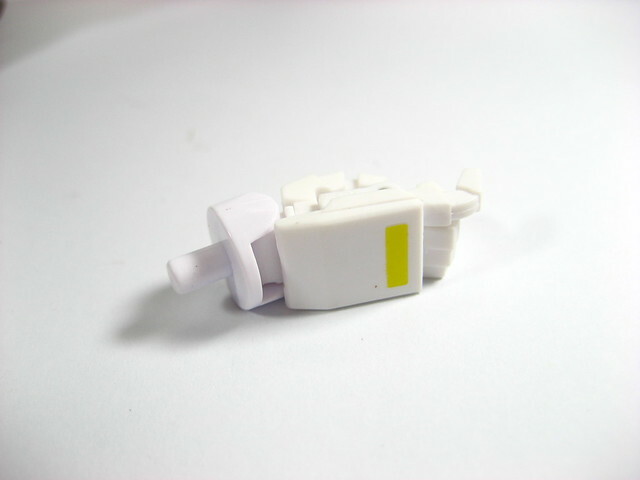 Aside from being an attachment for the gunpod, it also works as an attachment nub for the optional 1/60 Super Parts that can be bought separately for this kit. 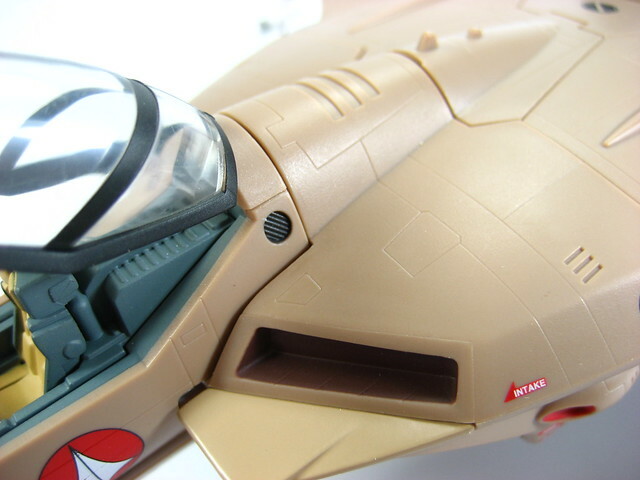 Only found out recently that those dark circles with the halfmoons that litter the surface of the Valkyrie are actually vernier thrusters that allow it to manuever in outer space. 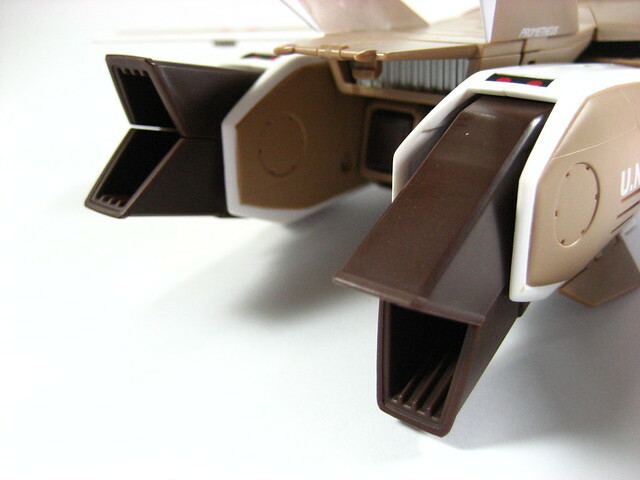 These vent covers can be removed to reveal the intake fans. 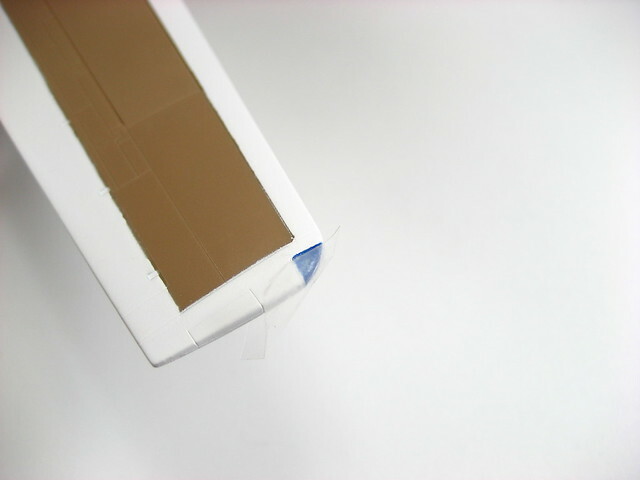 But I don't want to open them up least I wear out the nubs that hold it place that could result in the fan covers falling off easily. 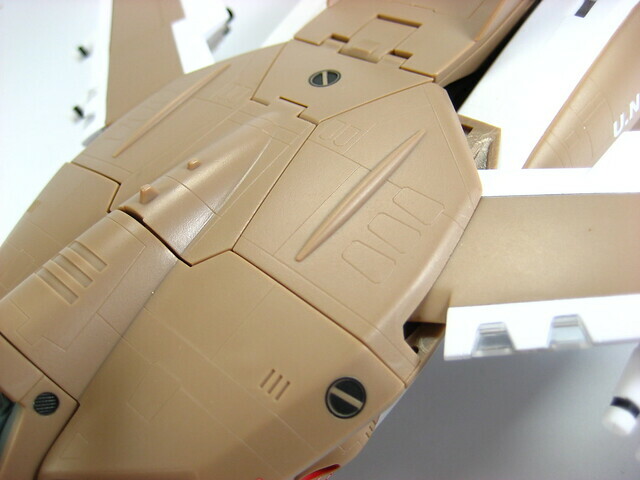 Arms tucked under the fuselage during fighter mode. 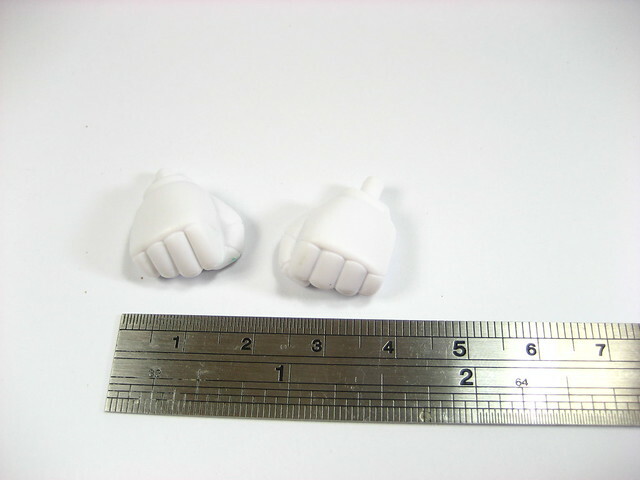 The hands are folded into the forearms. 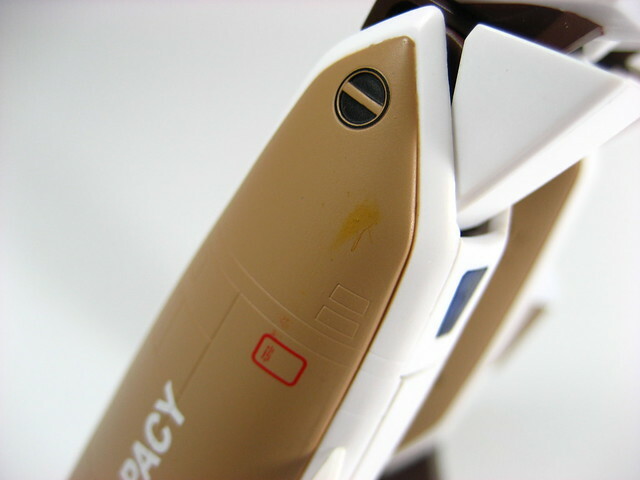 The minor scratch I found when I removed the toy from its casing. 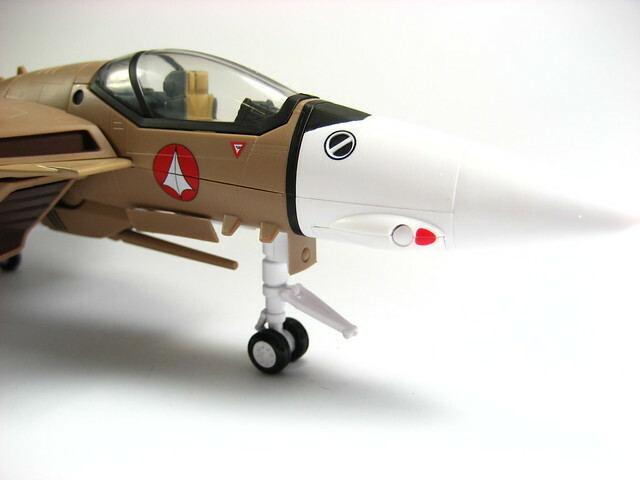 VF-1A head tucked underneath. 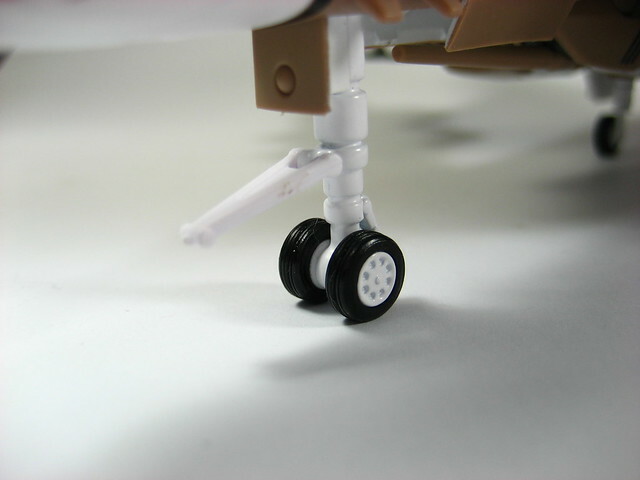 I only realized now that in order to open up the front nose wheel doors you have to raise the turret of the head. 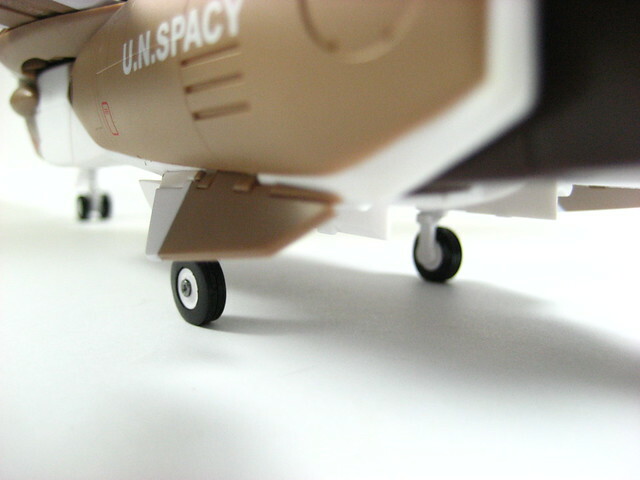 Compared to the wheels of the 1/60 YF-19 by Yamato Toys, the wheels of the VF-1 line are perfectly crafted.